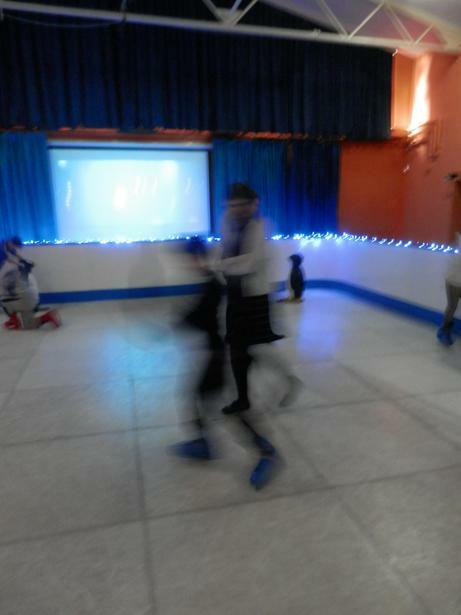 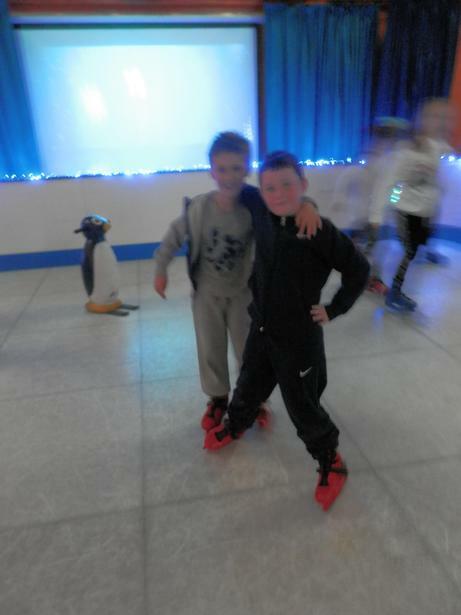 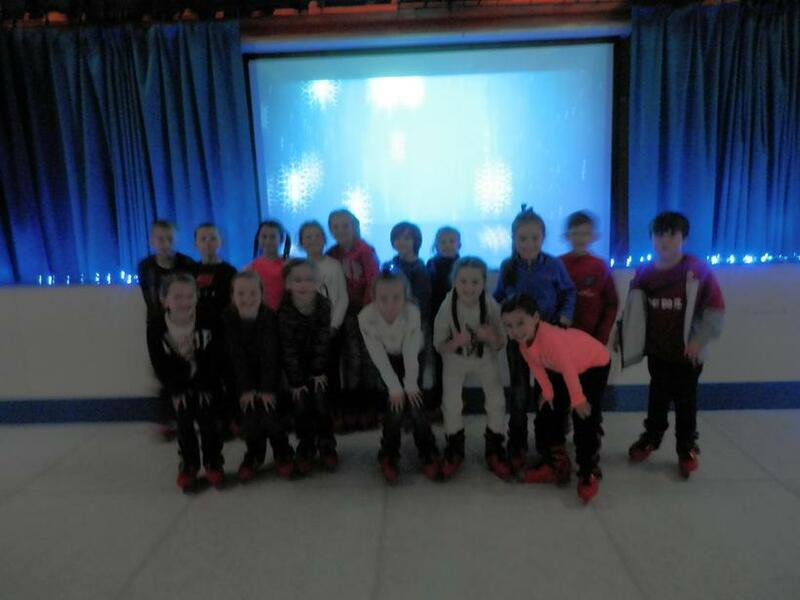 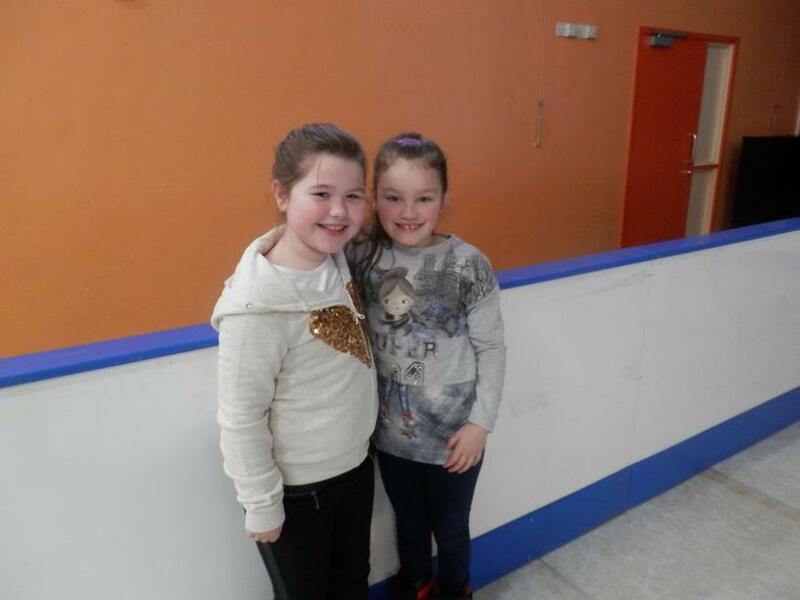 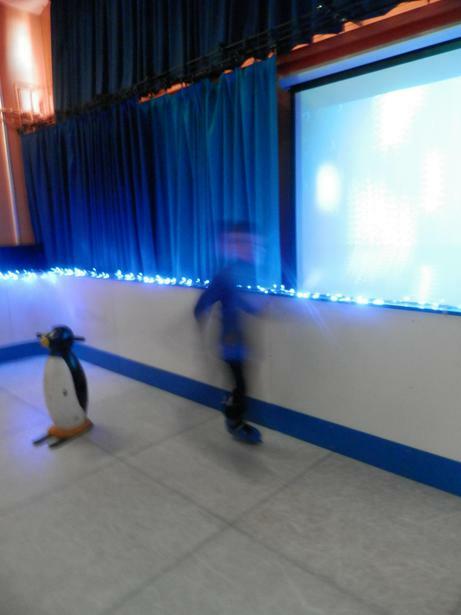 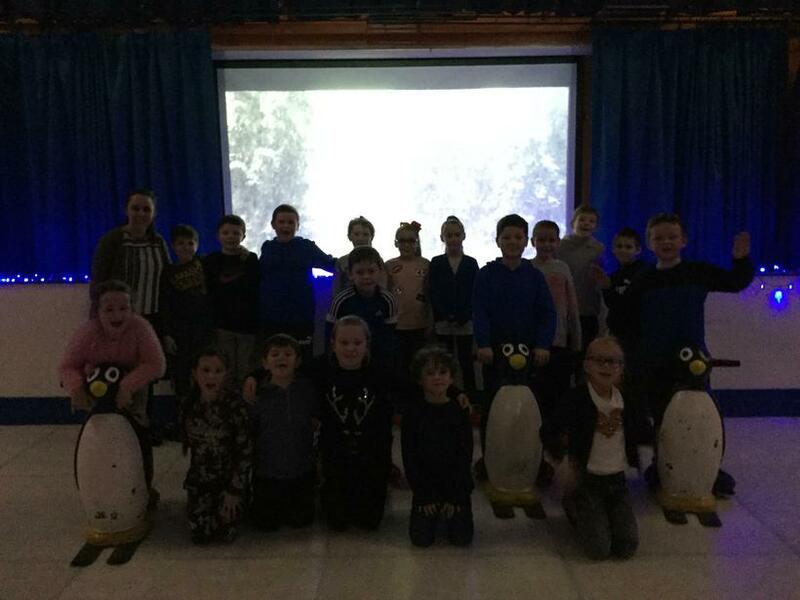 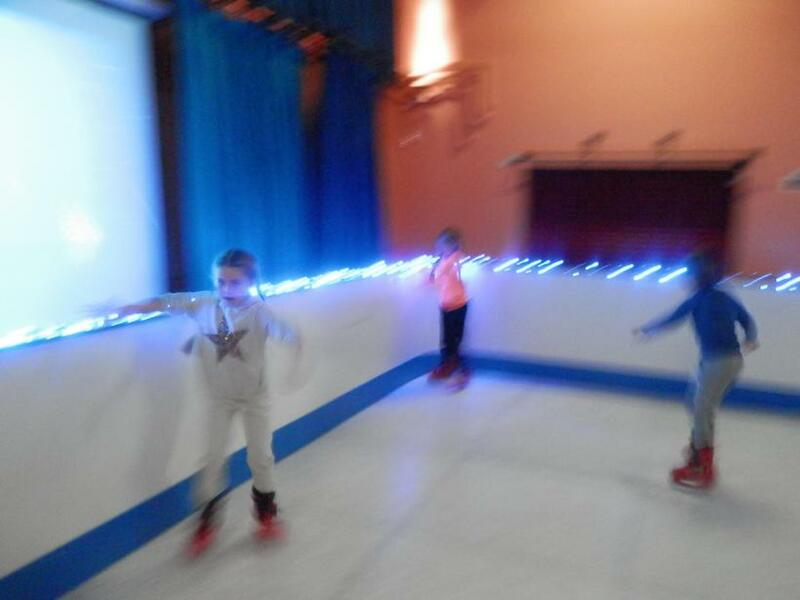 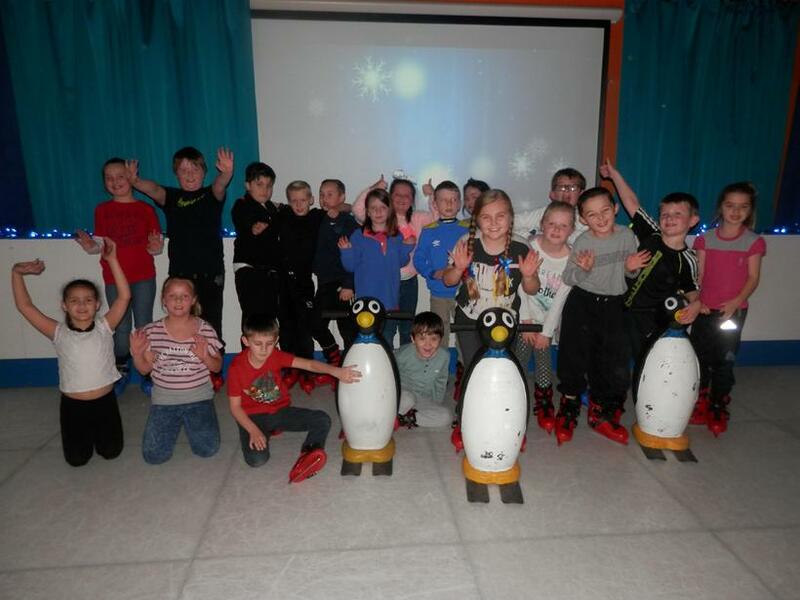 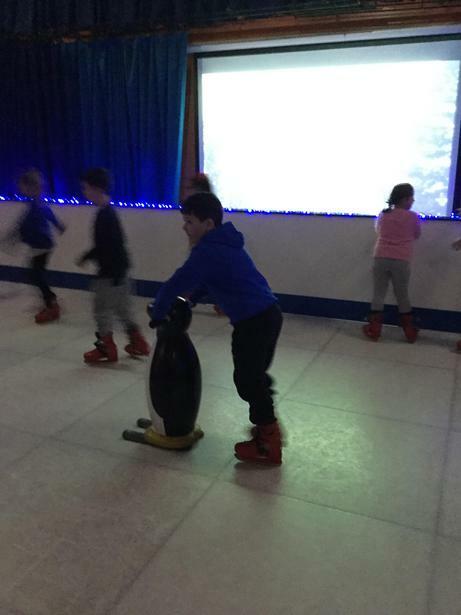 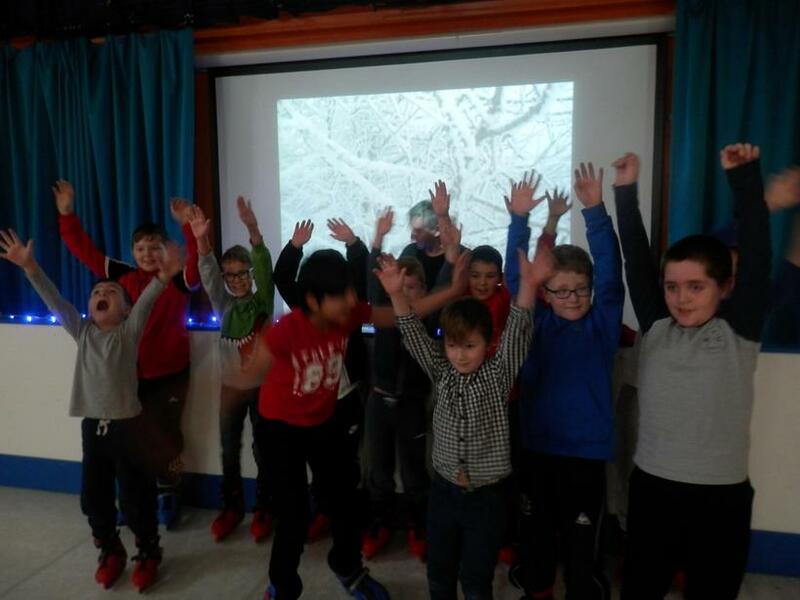 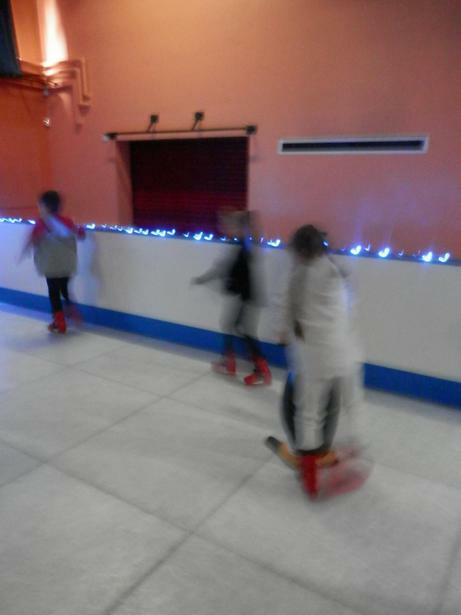 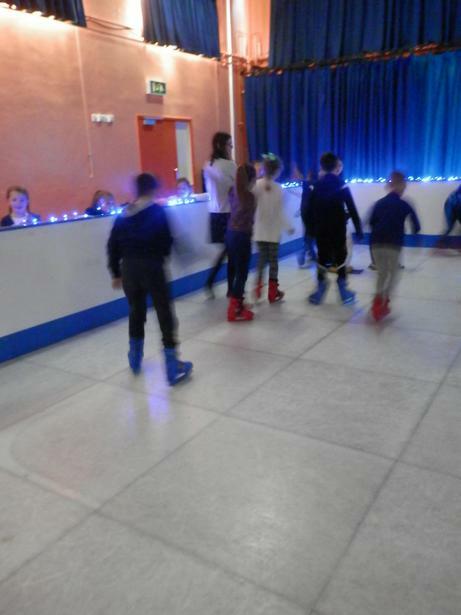 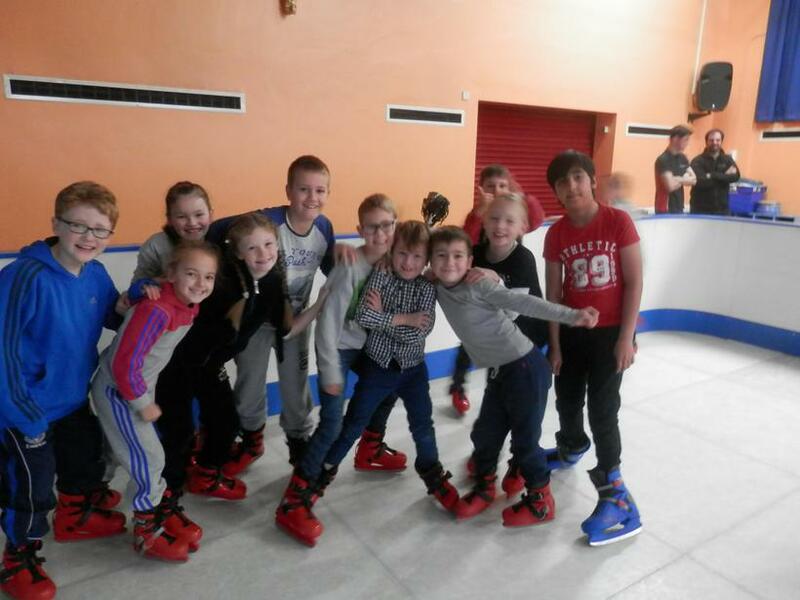 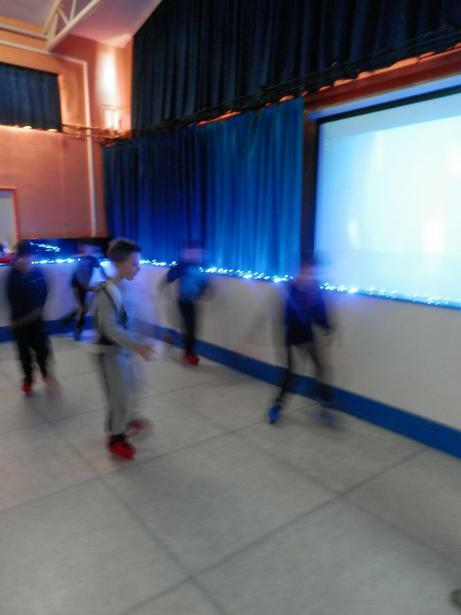 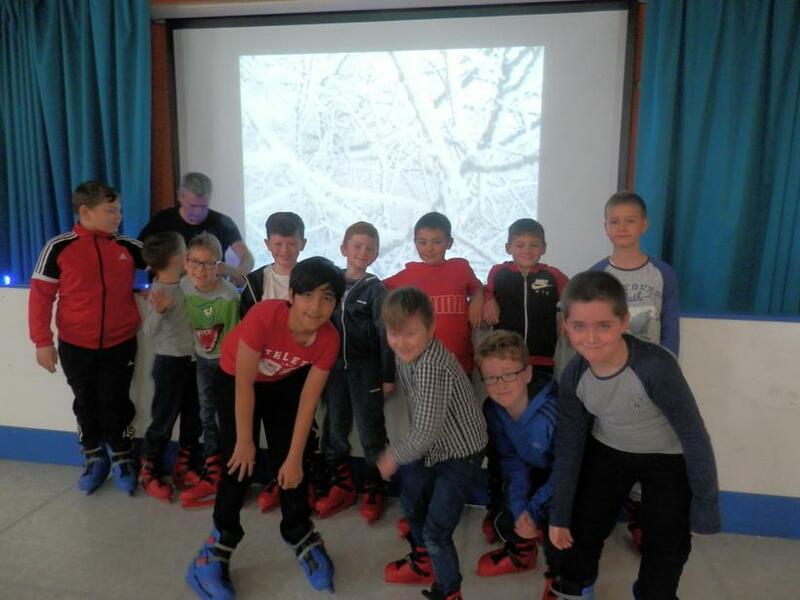 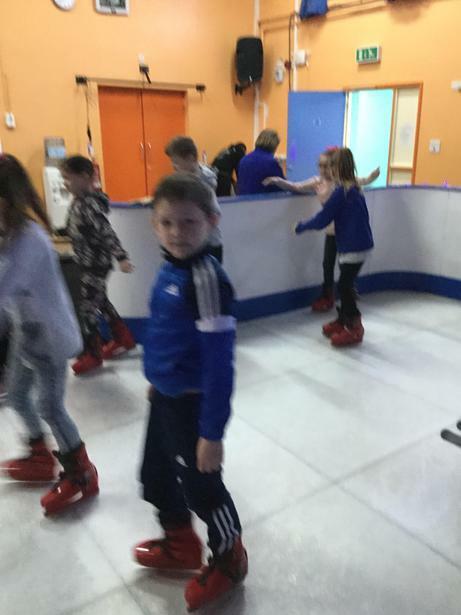 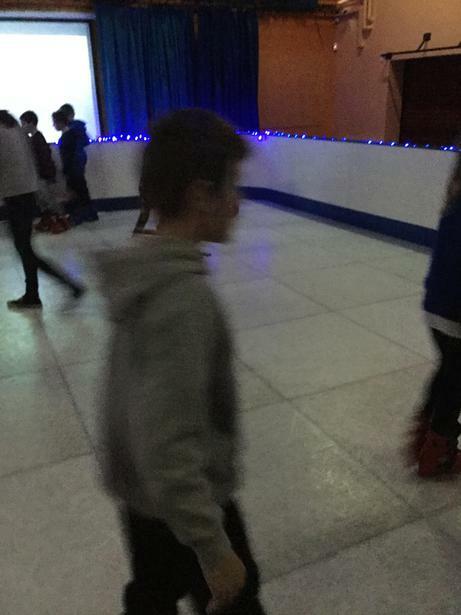 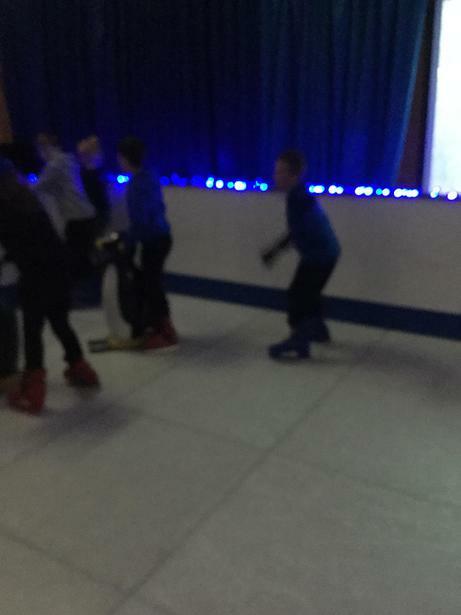 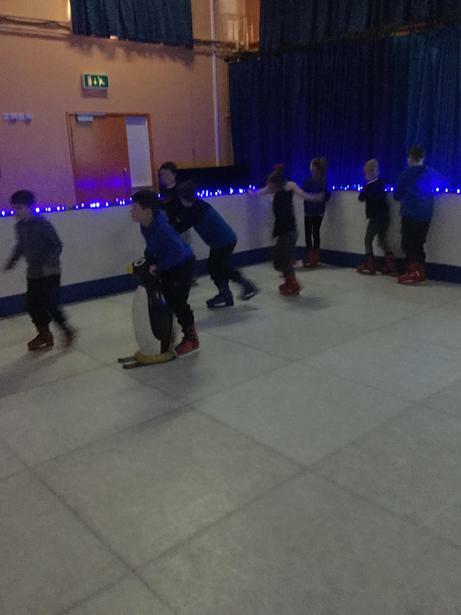 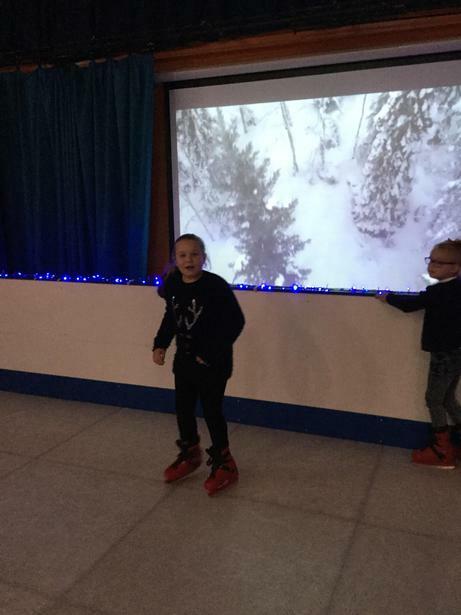 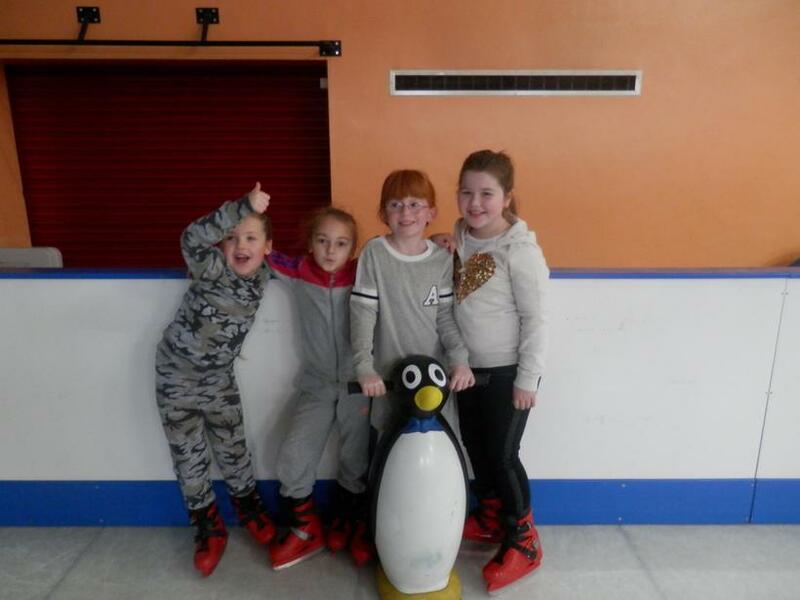 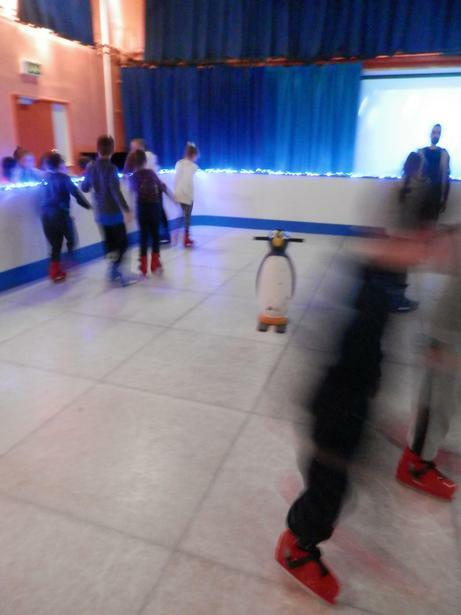 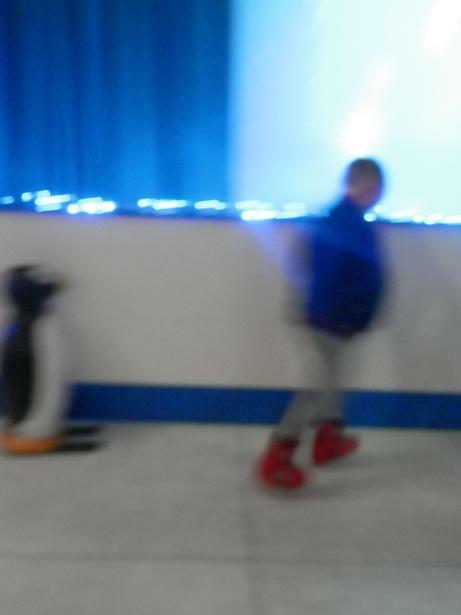 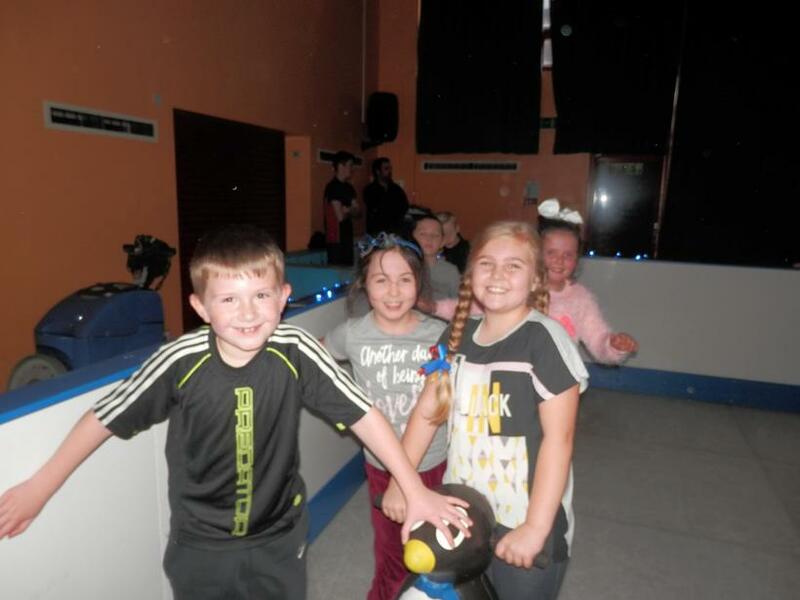 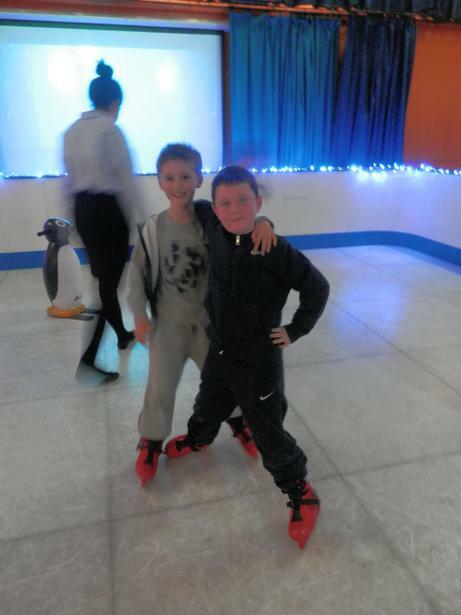 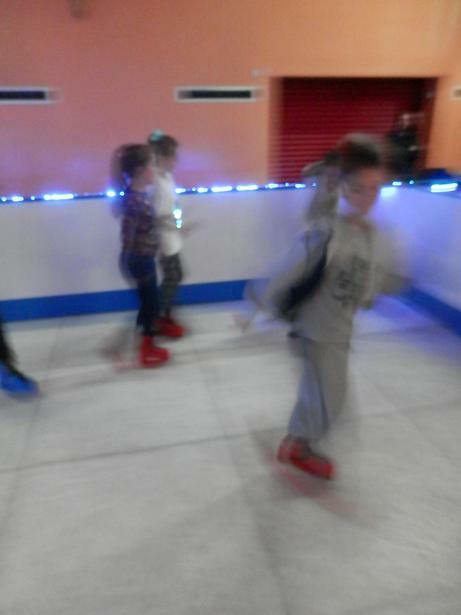 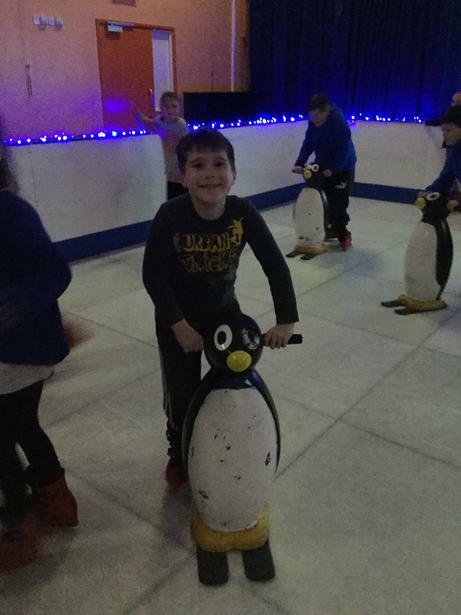 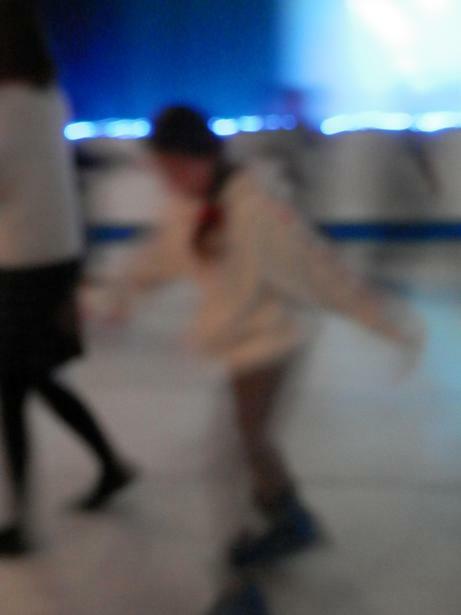 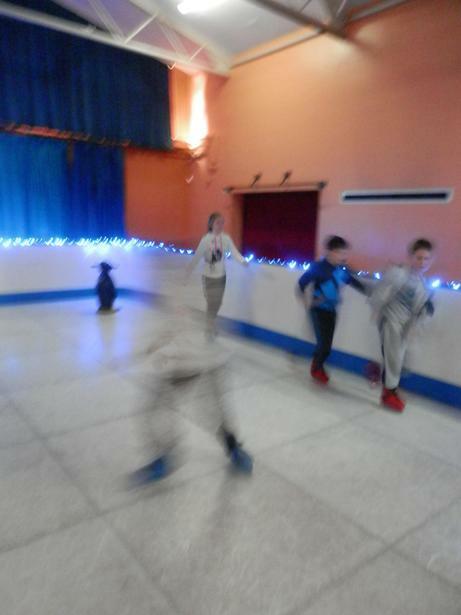 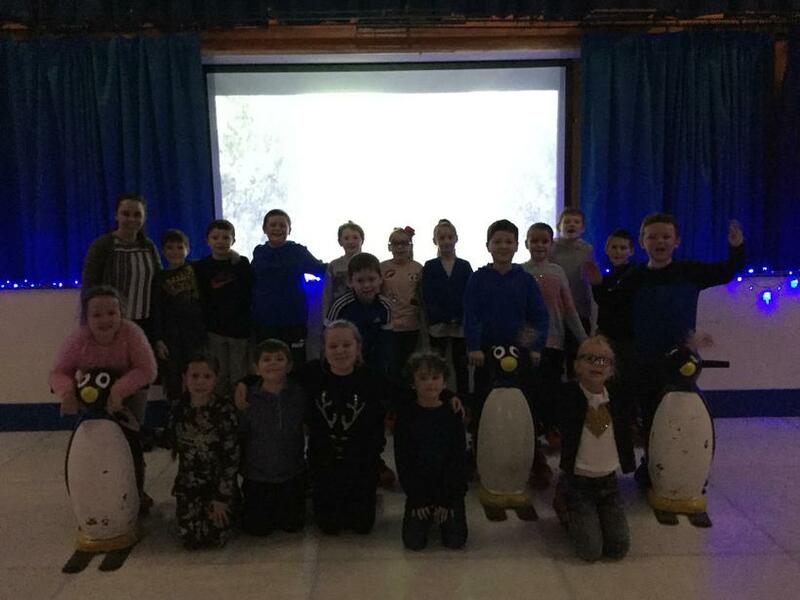 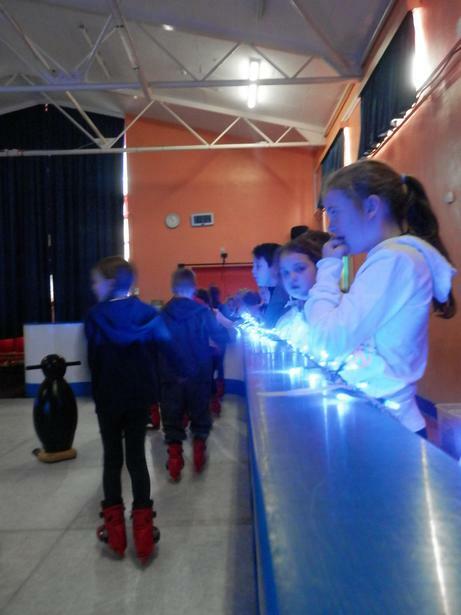 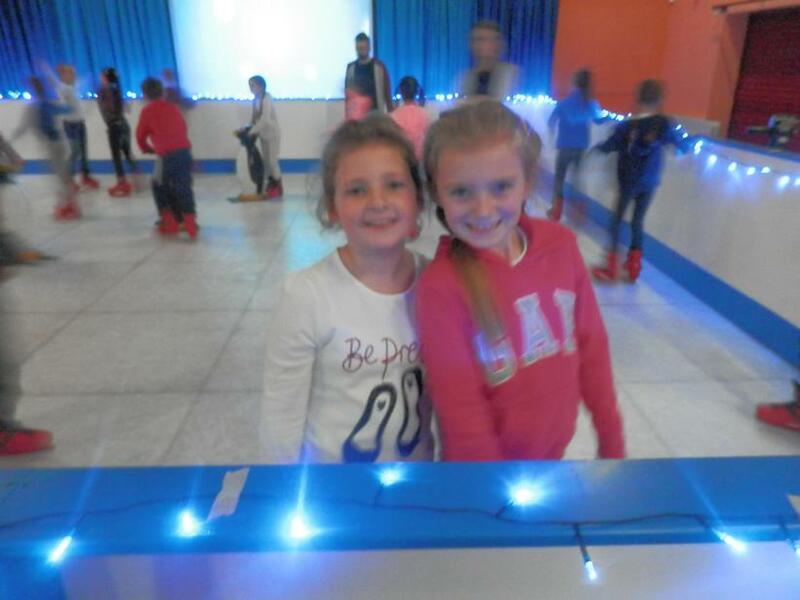 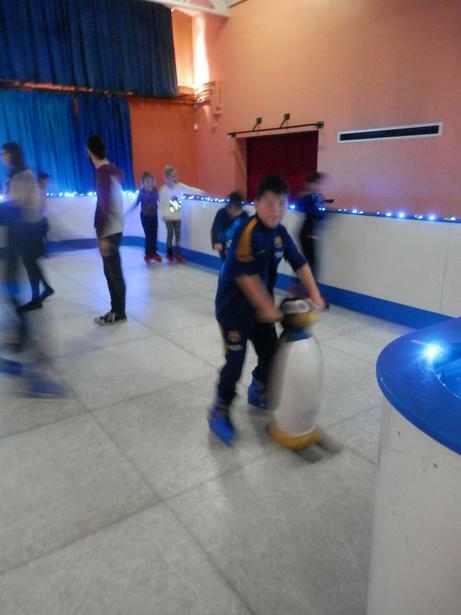 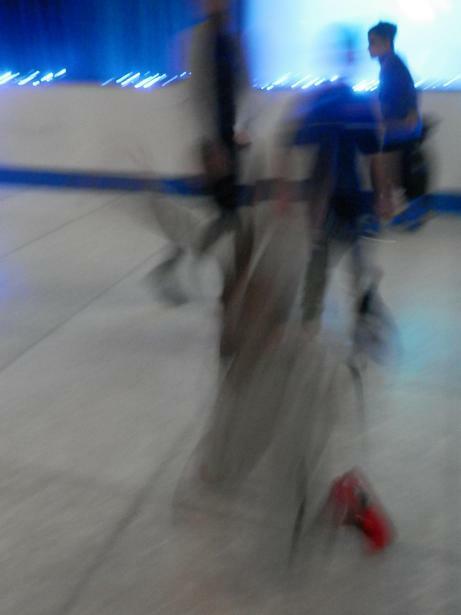 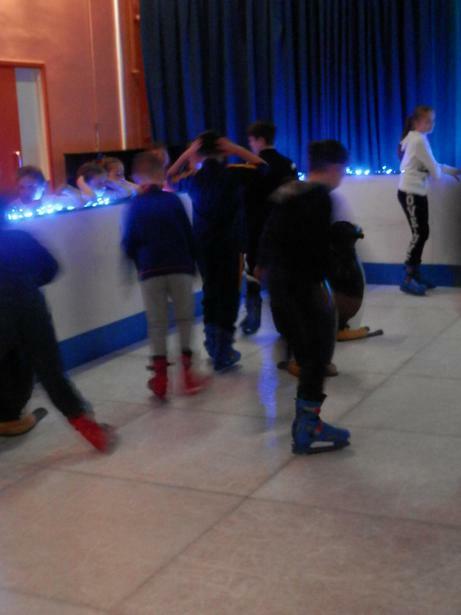 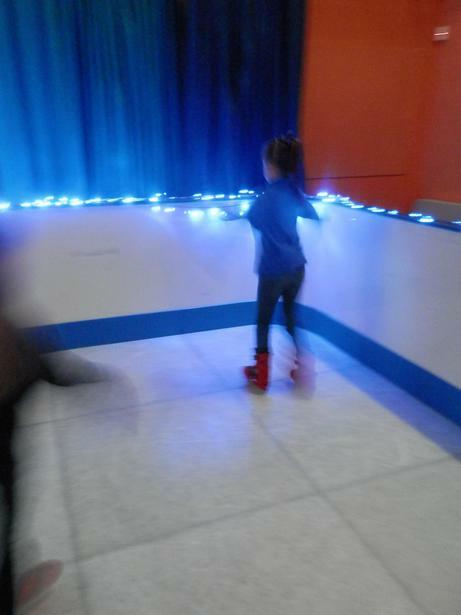 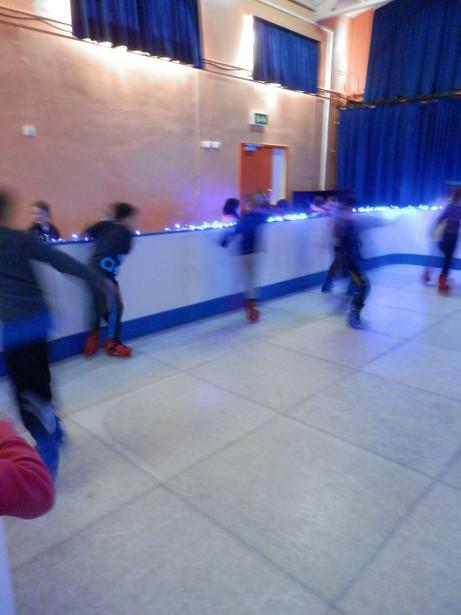 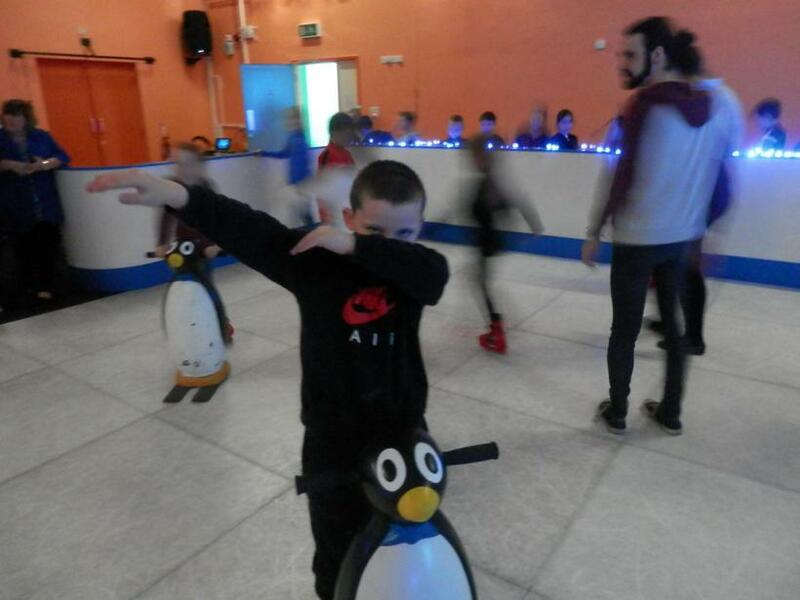 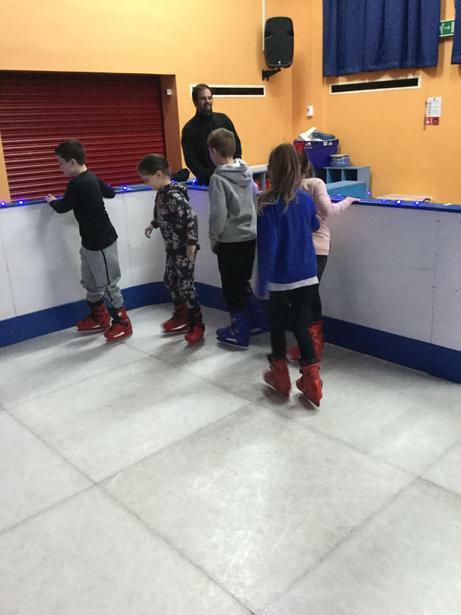 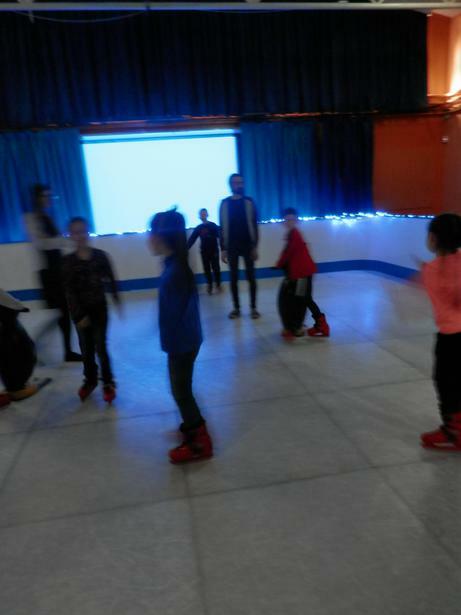 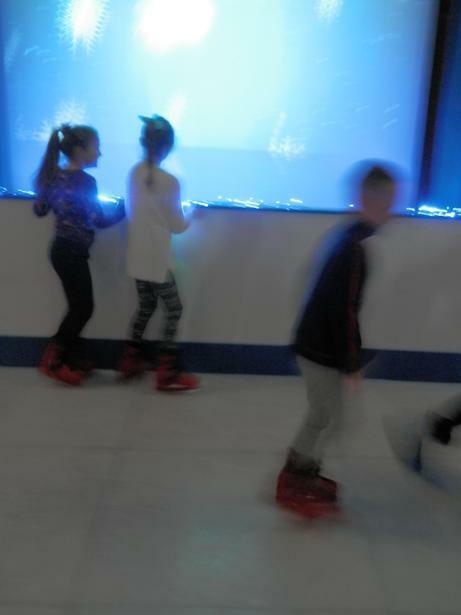 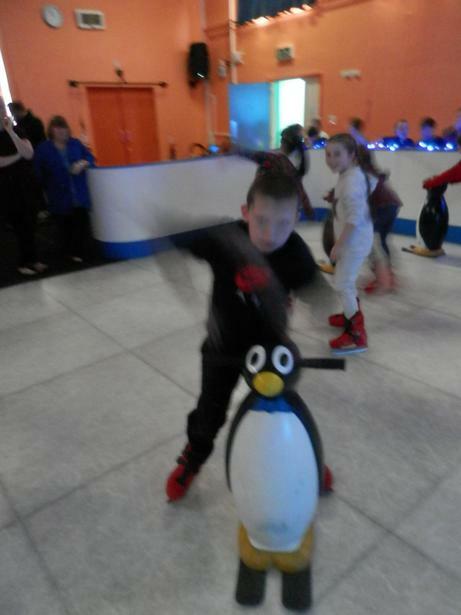 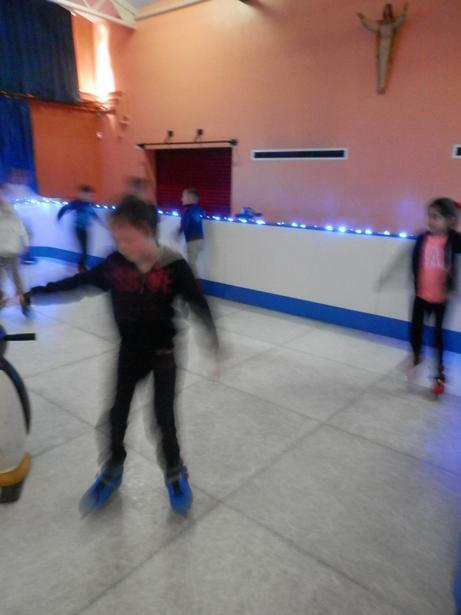 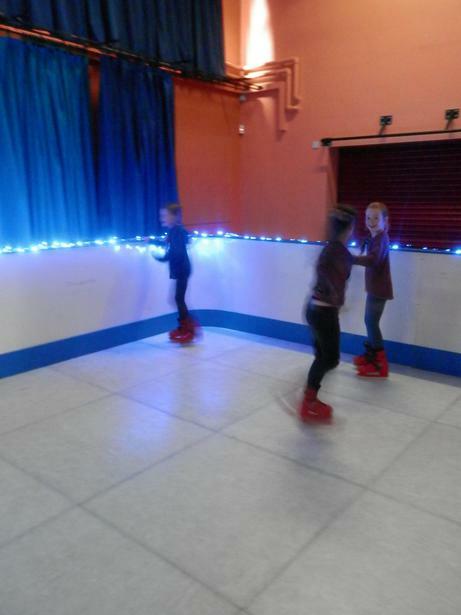 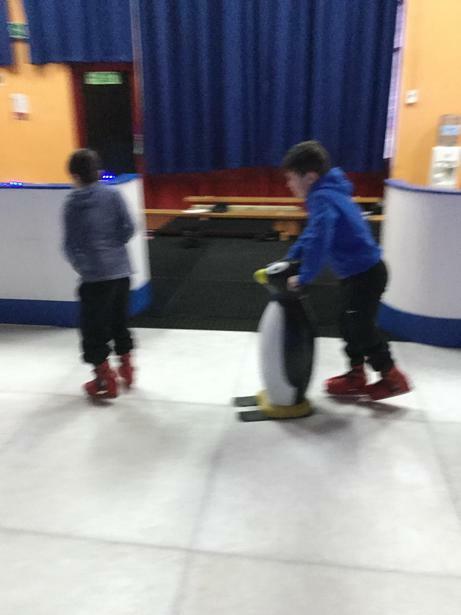 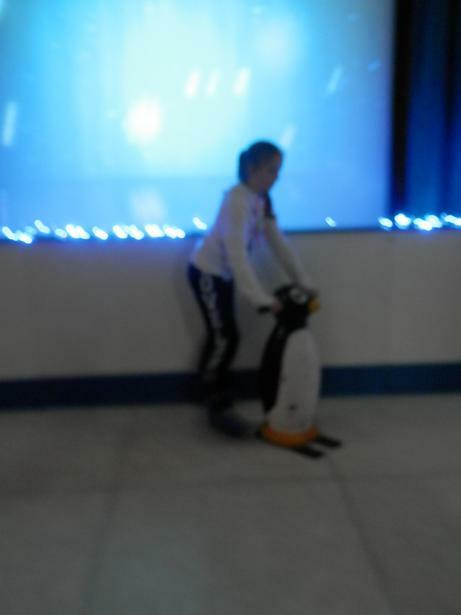 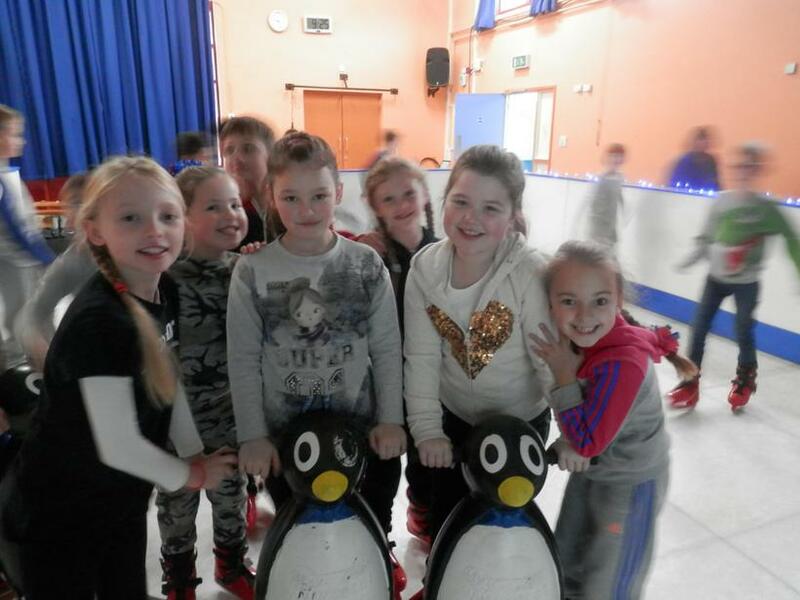 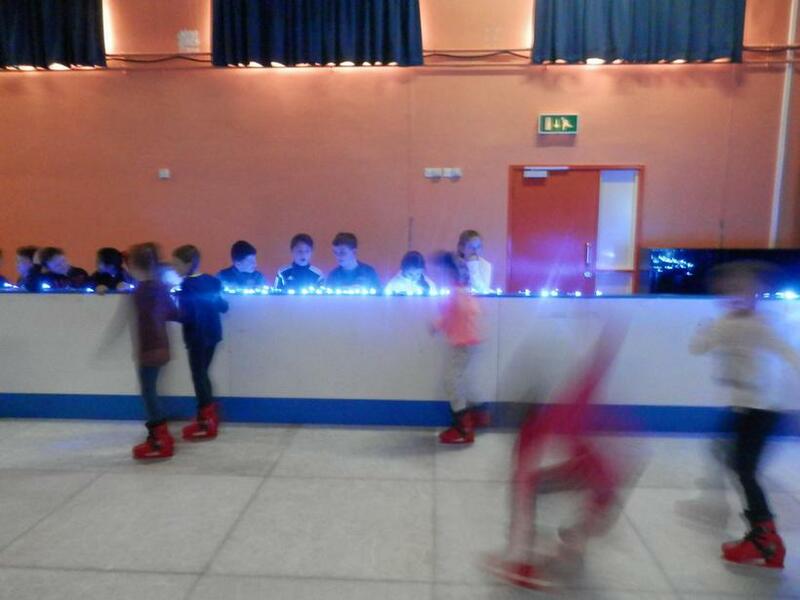 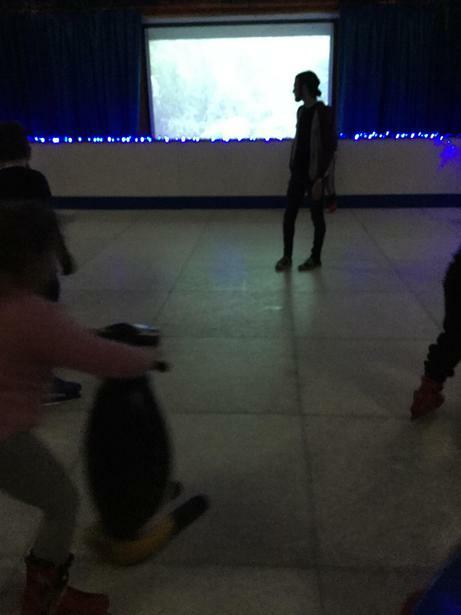 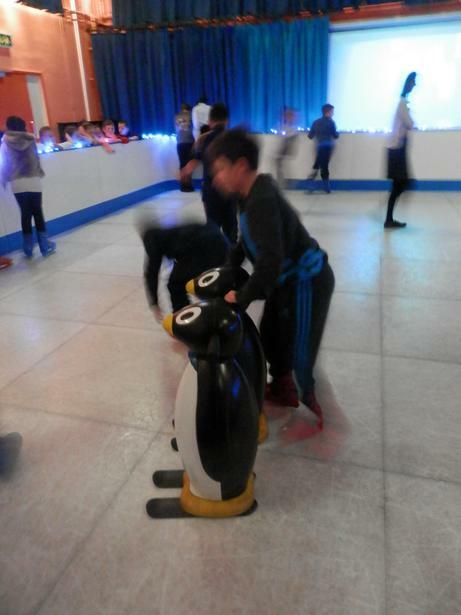 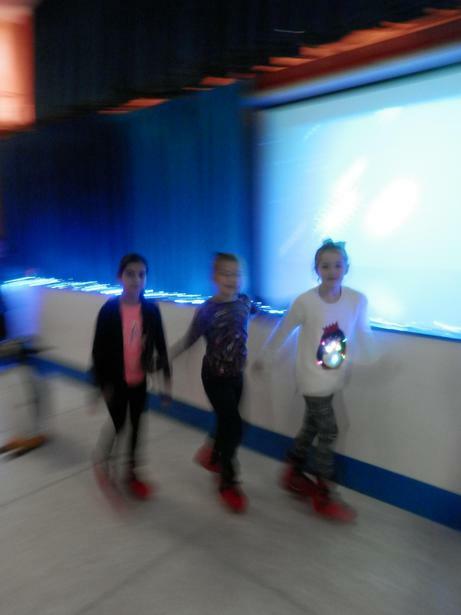 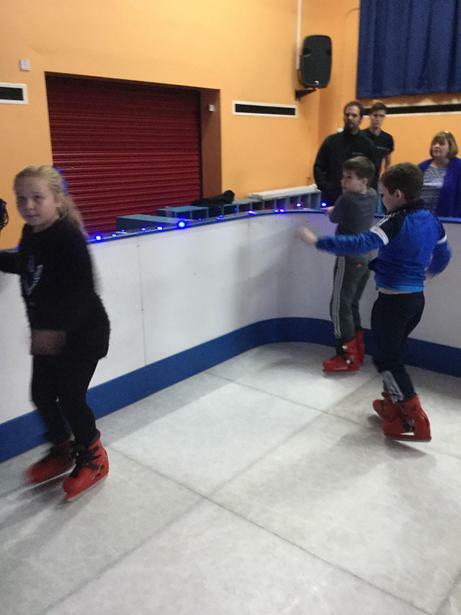 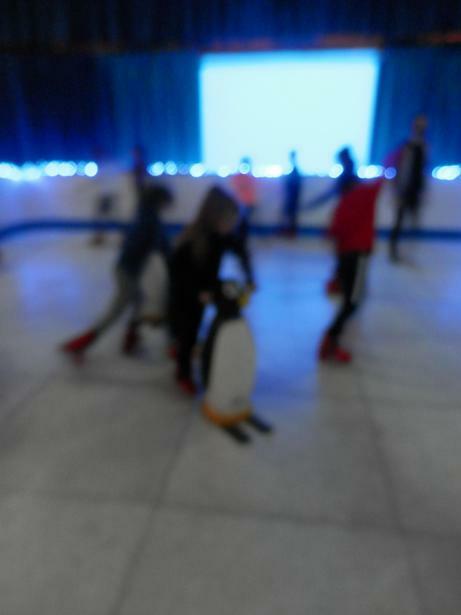 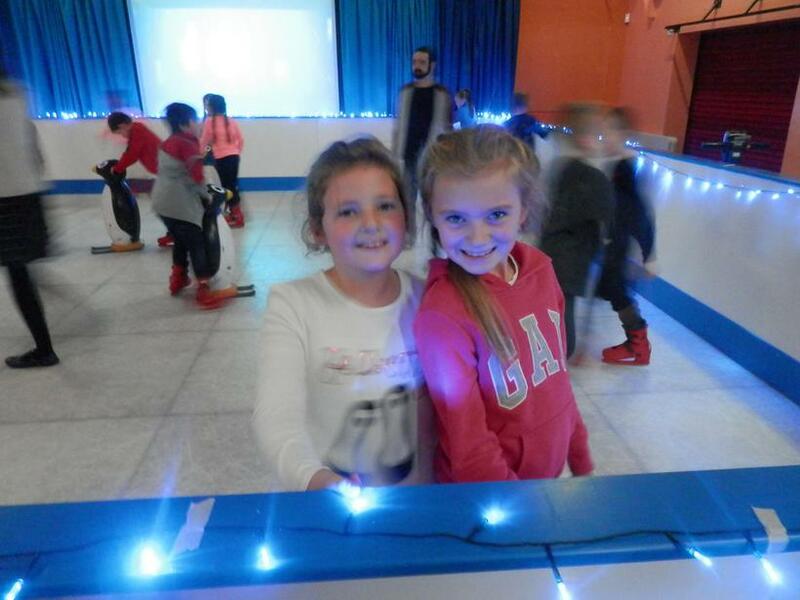 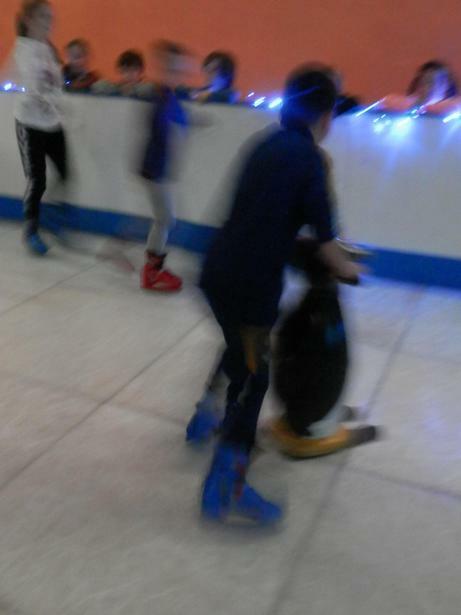 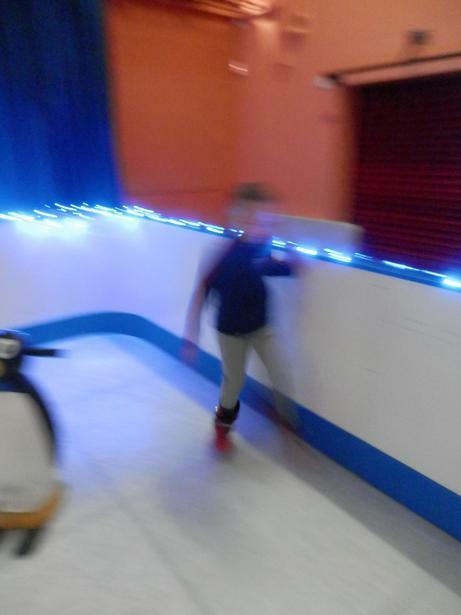 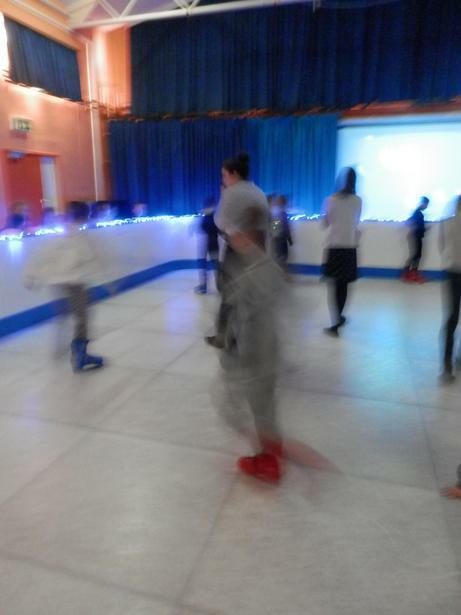 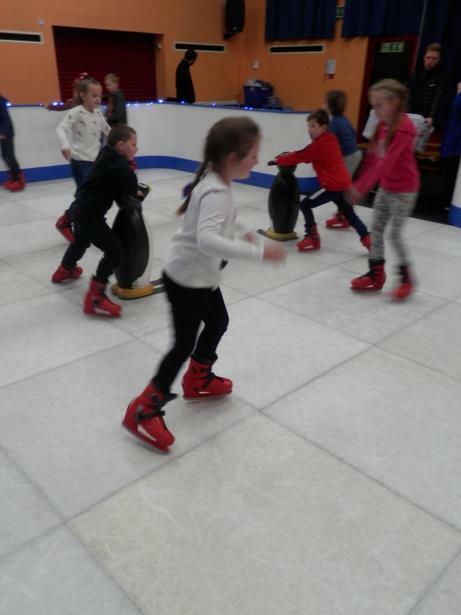 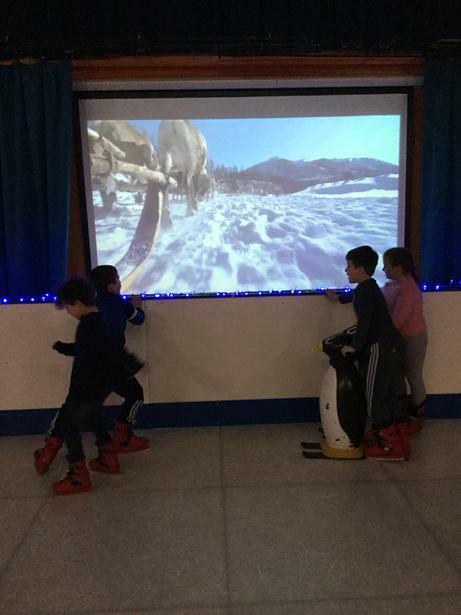 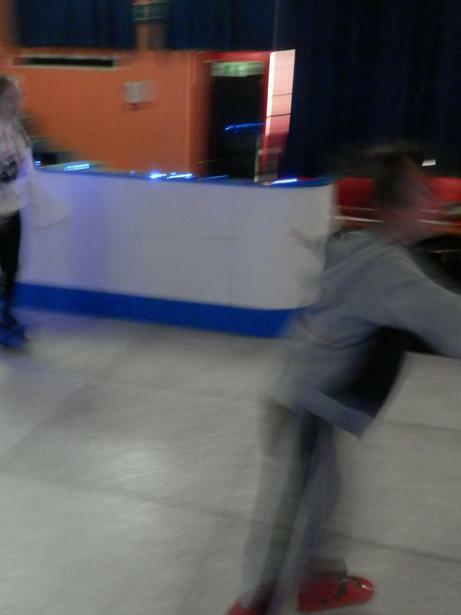 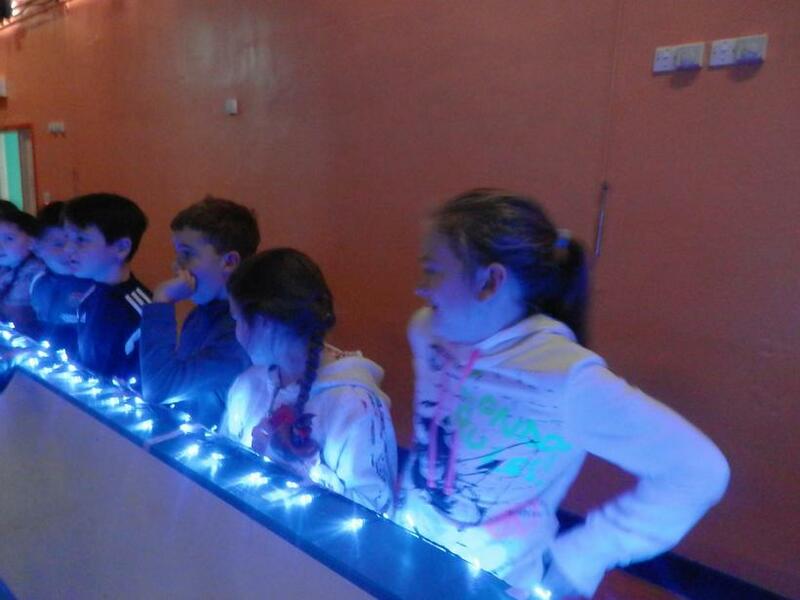 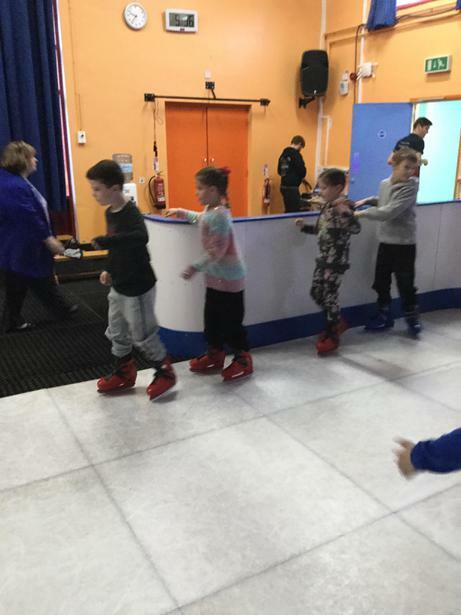 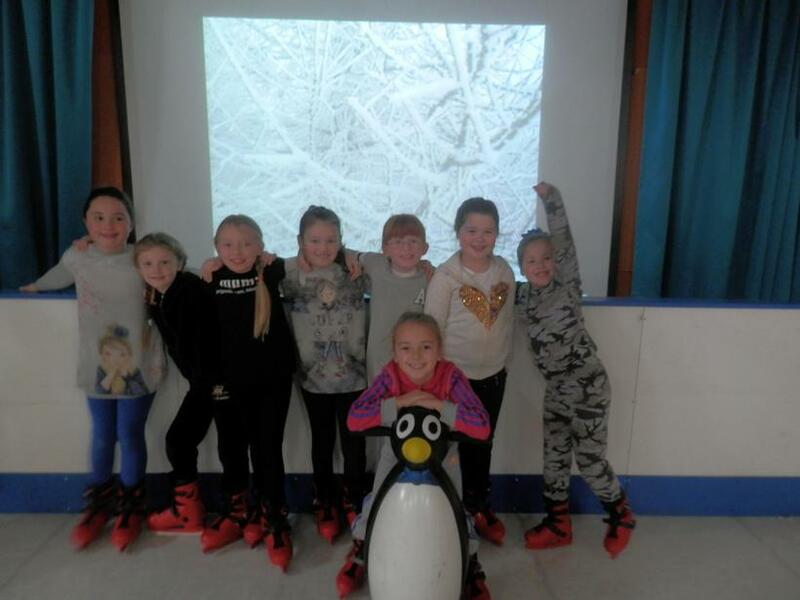 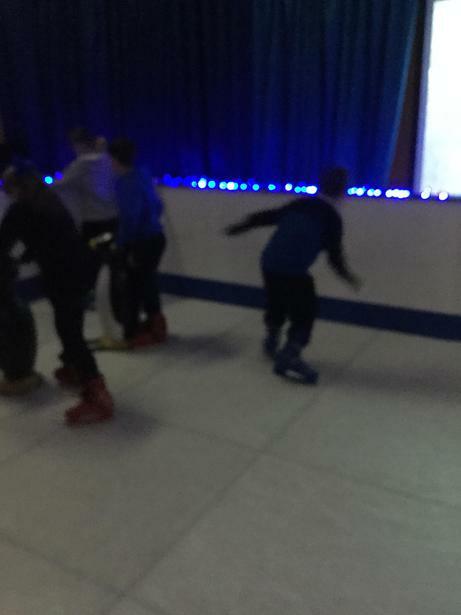 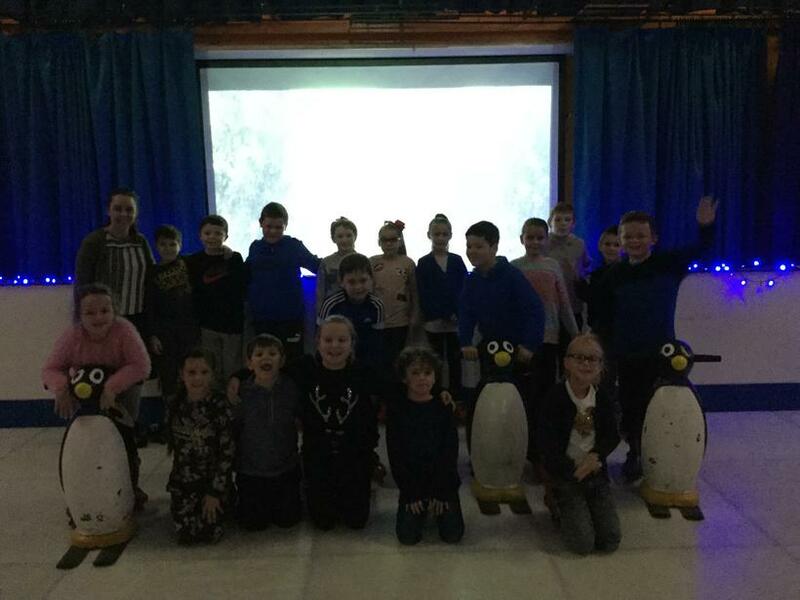 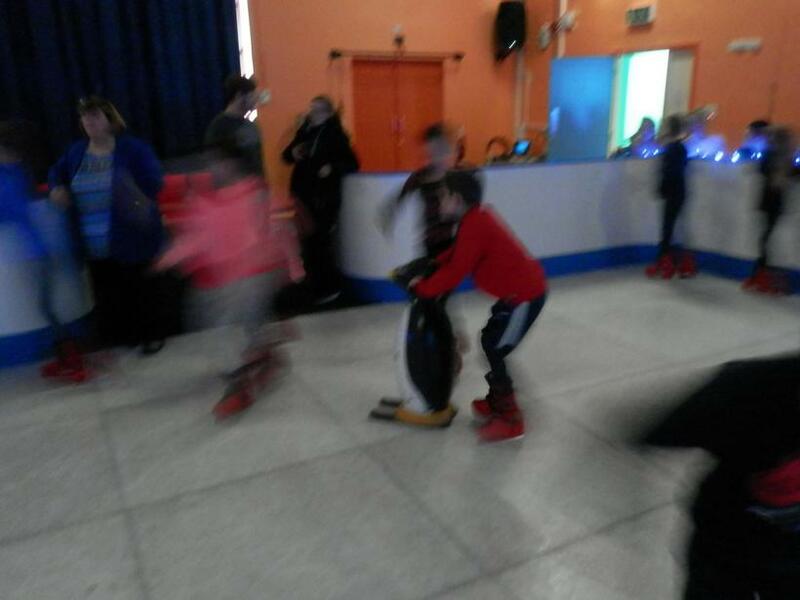 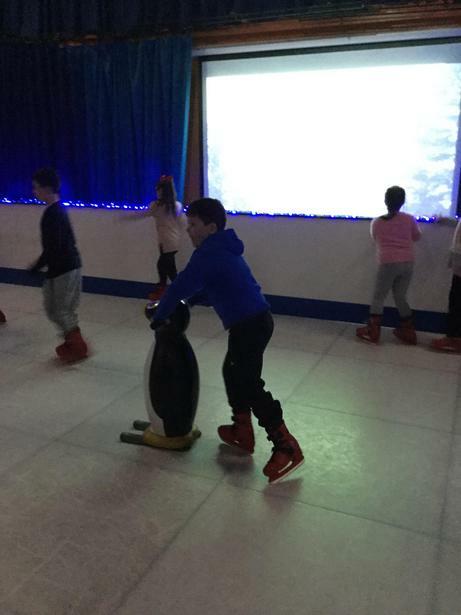 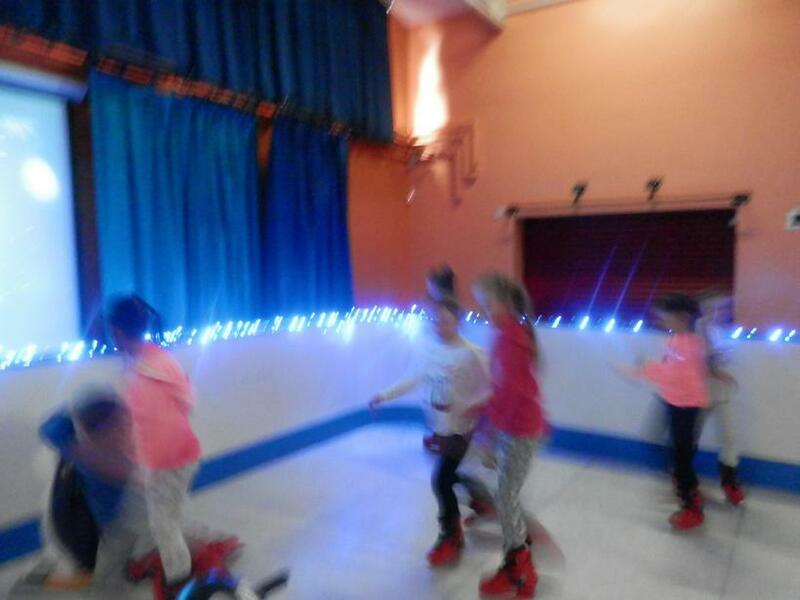 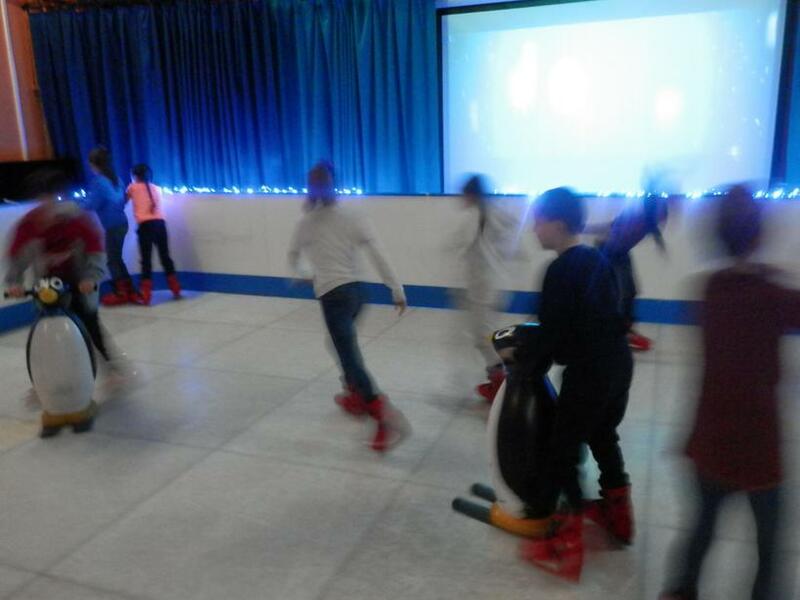 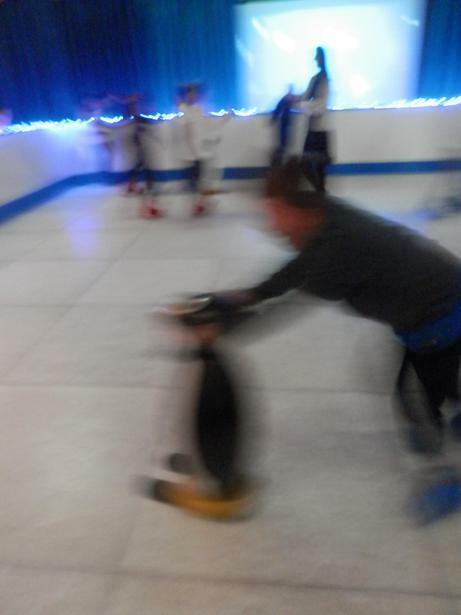 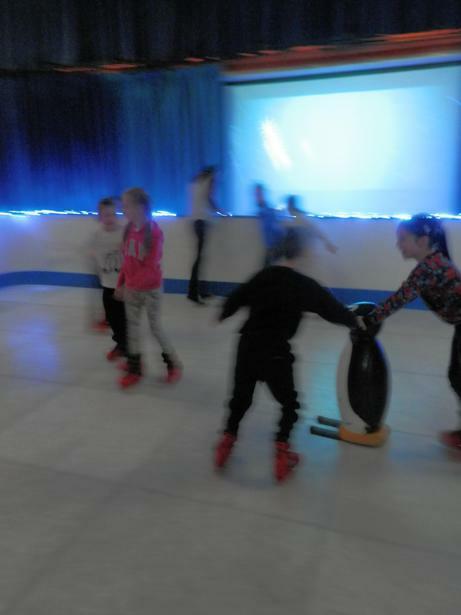 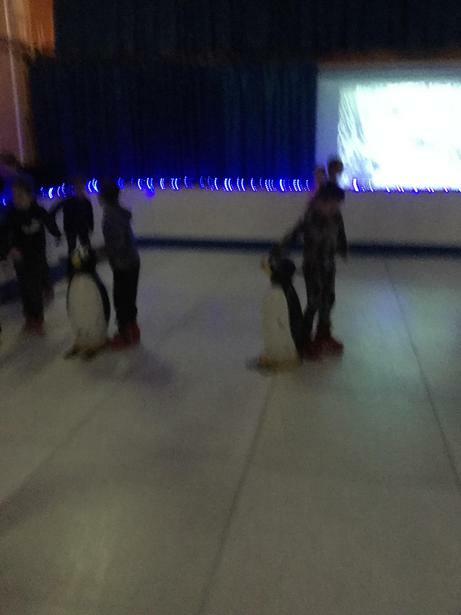 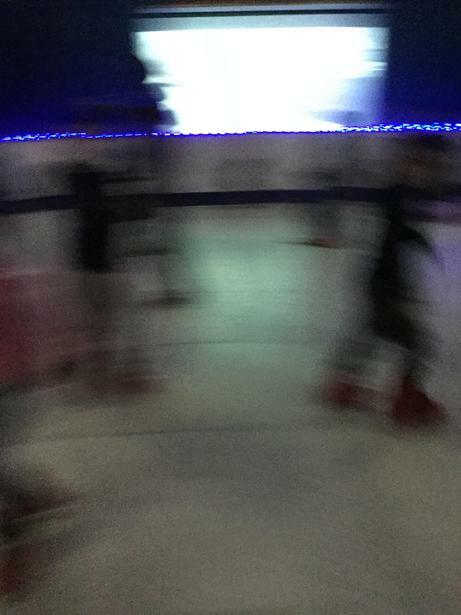 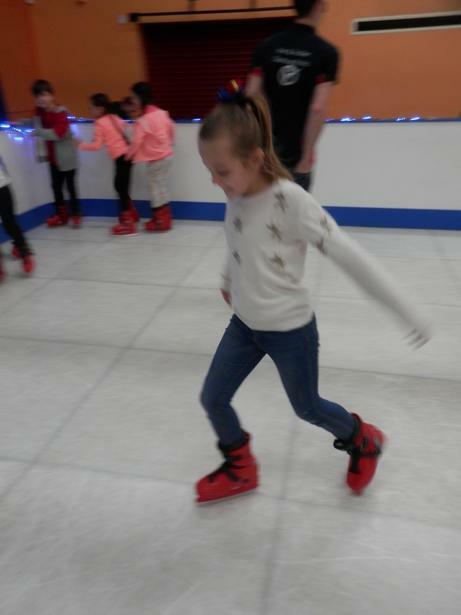 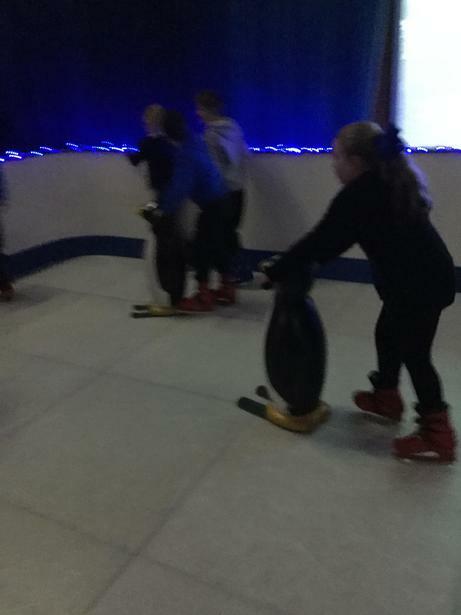 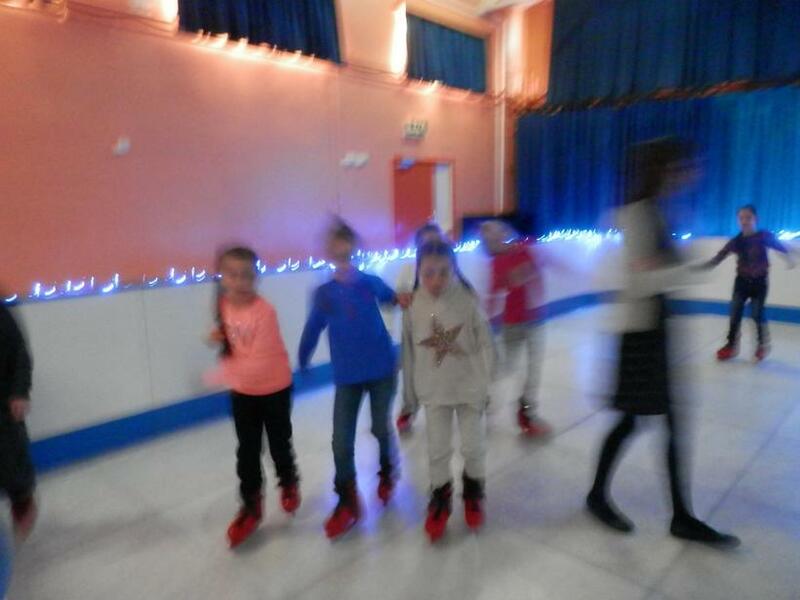 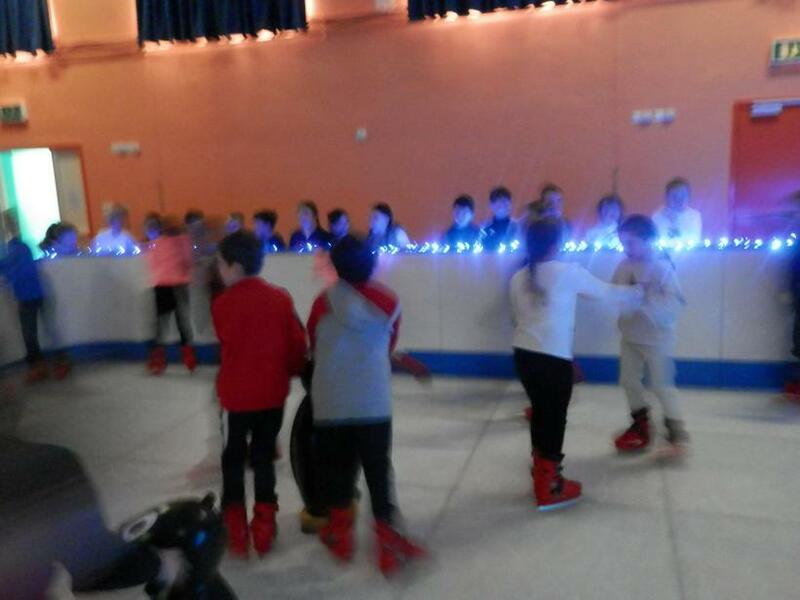 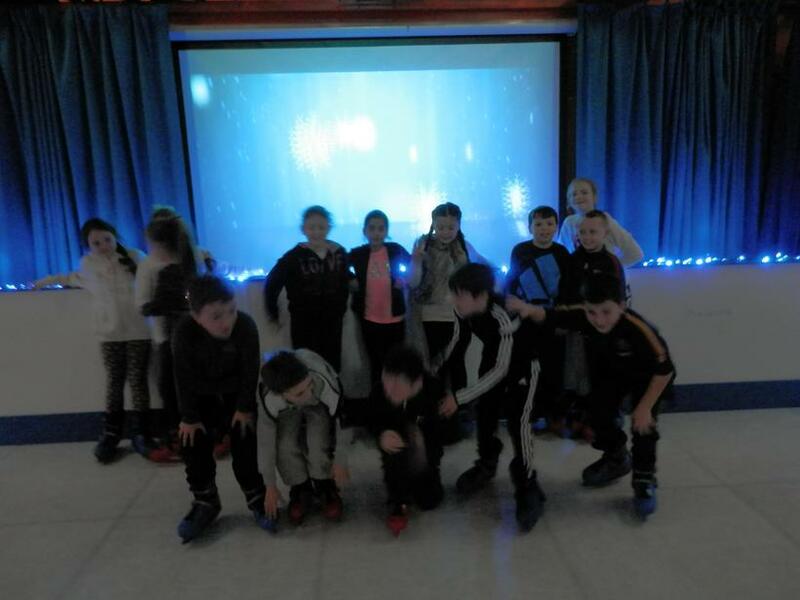 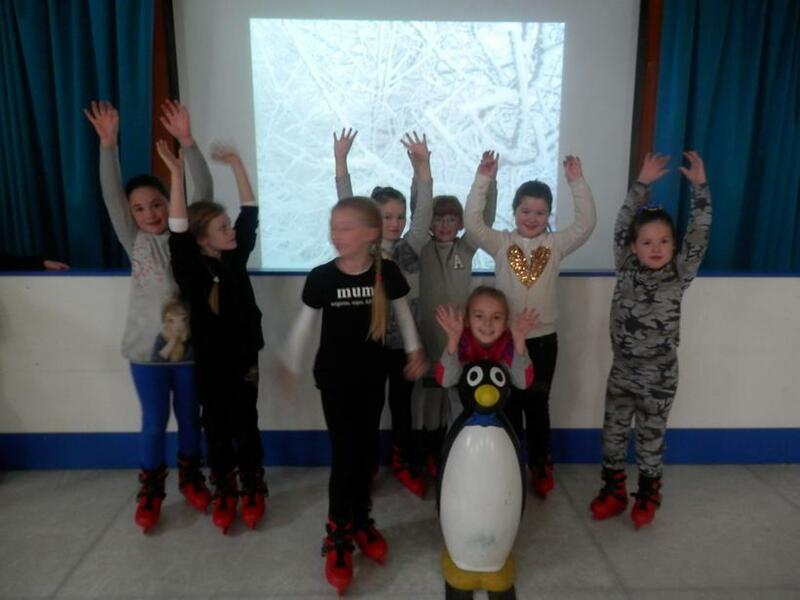 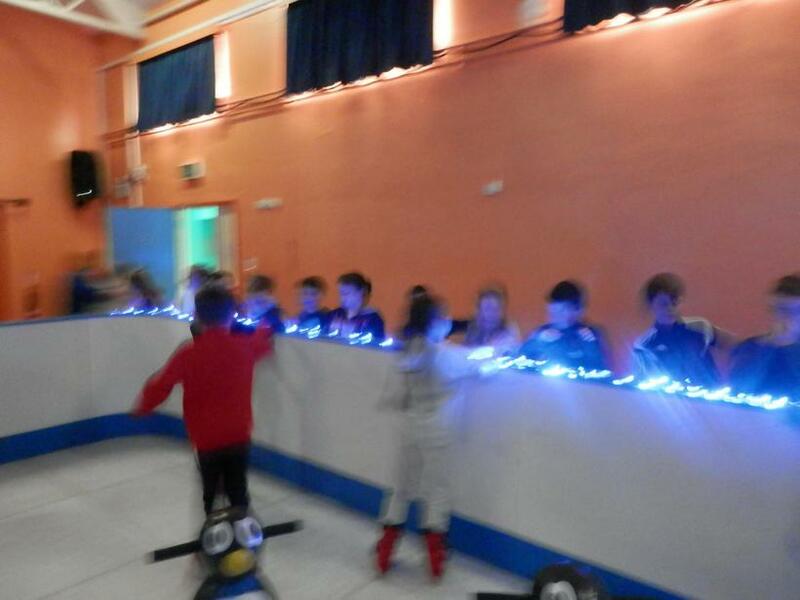 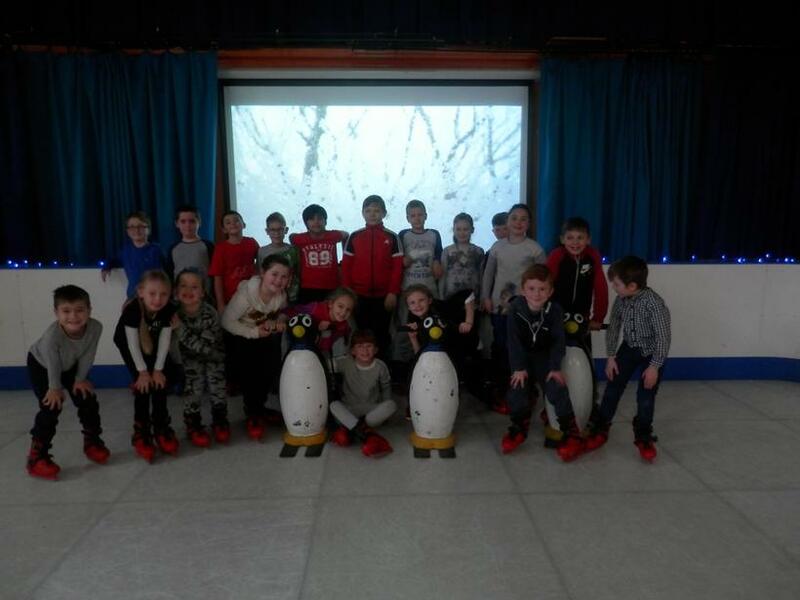 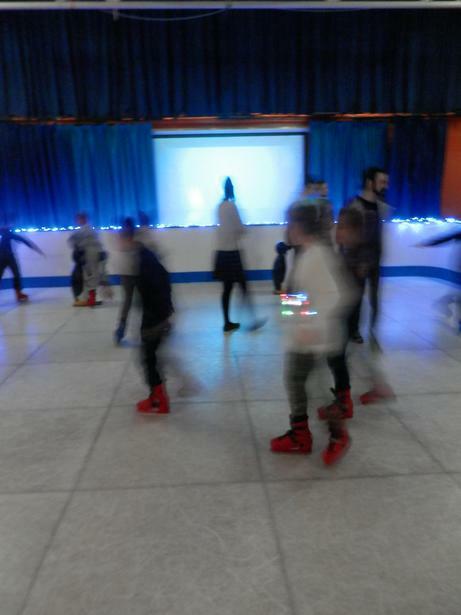 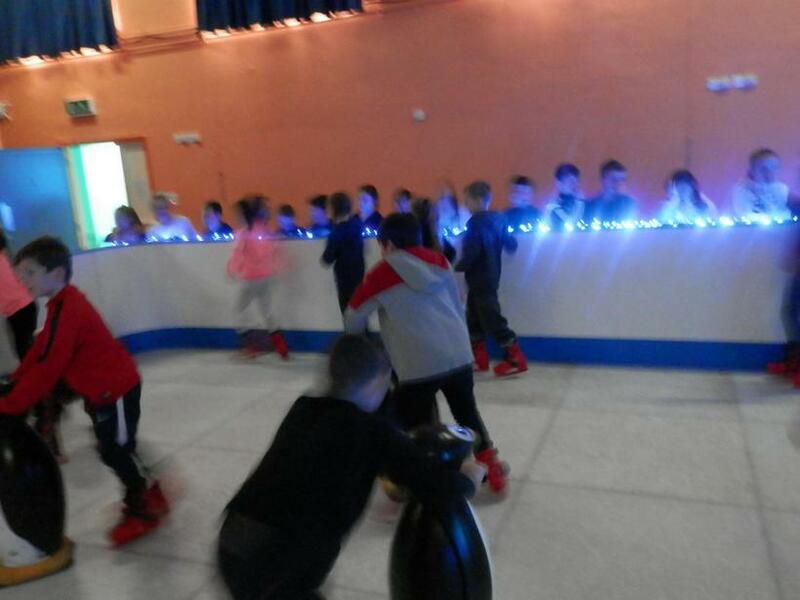 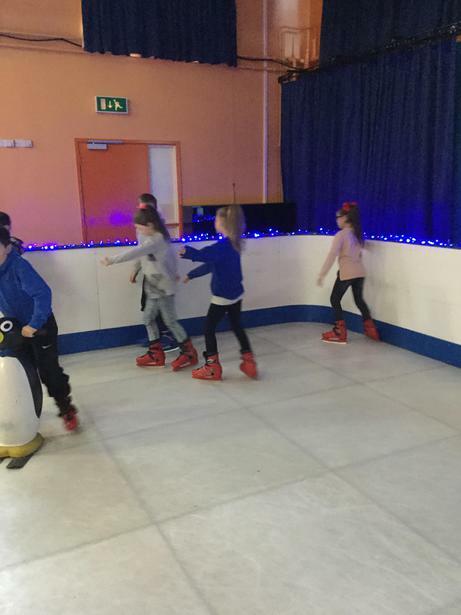 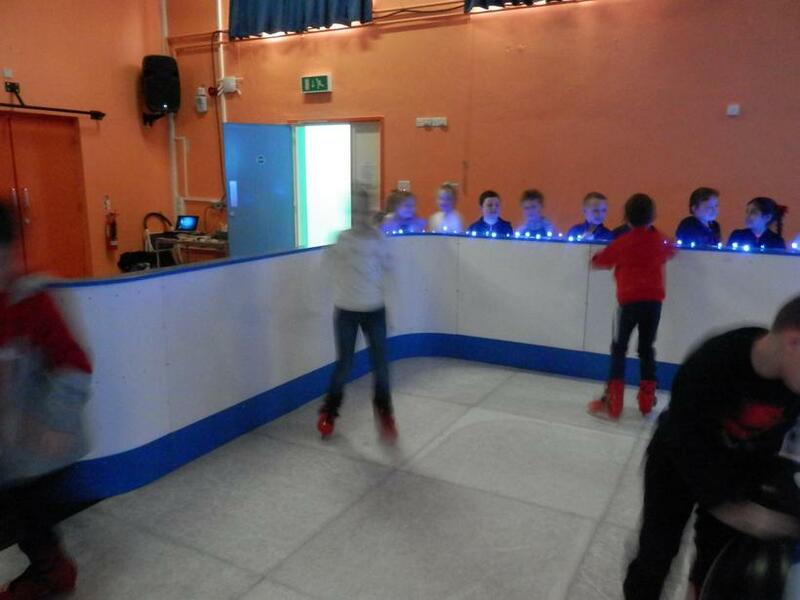 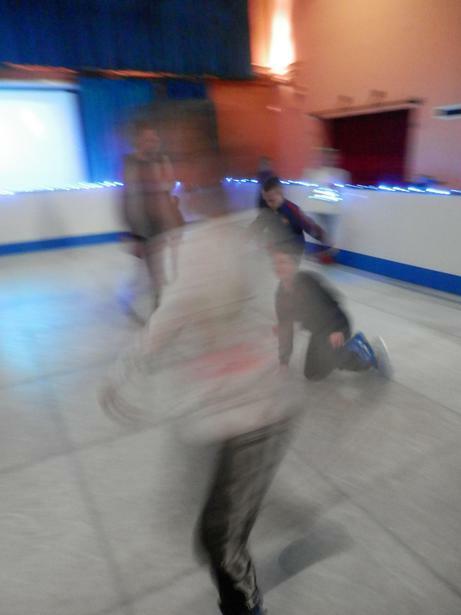 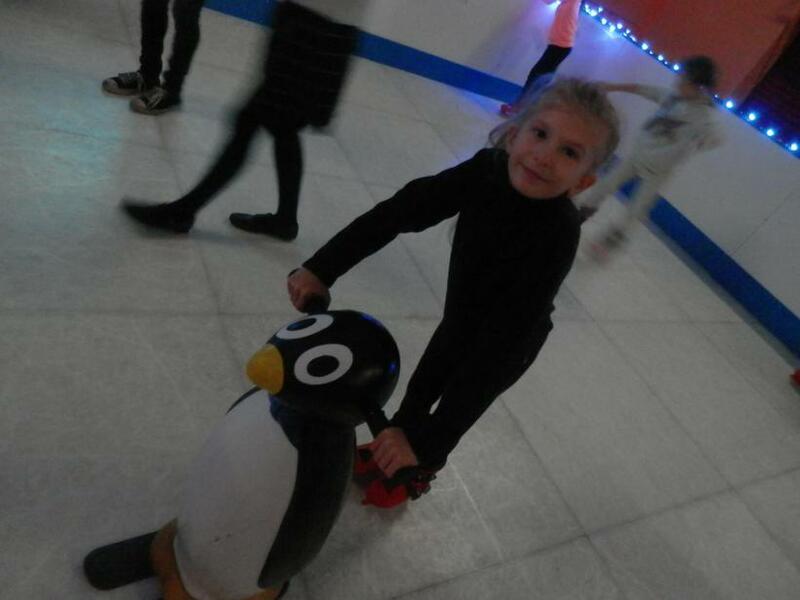 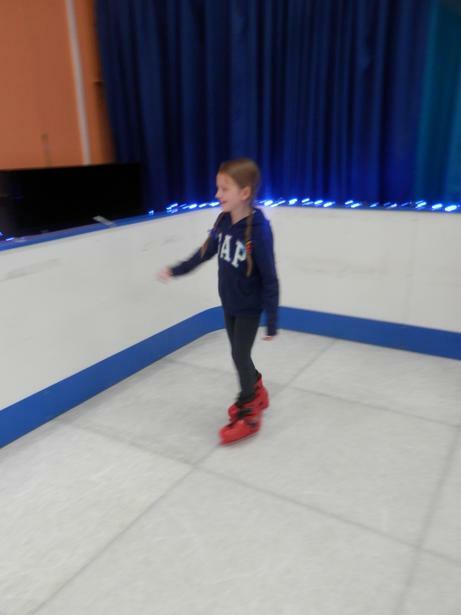 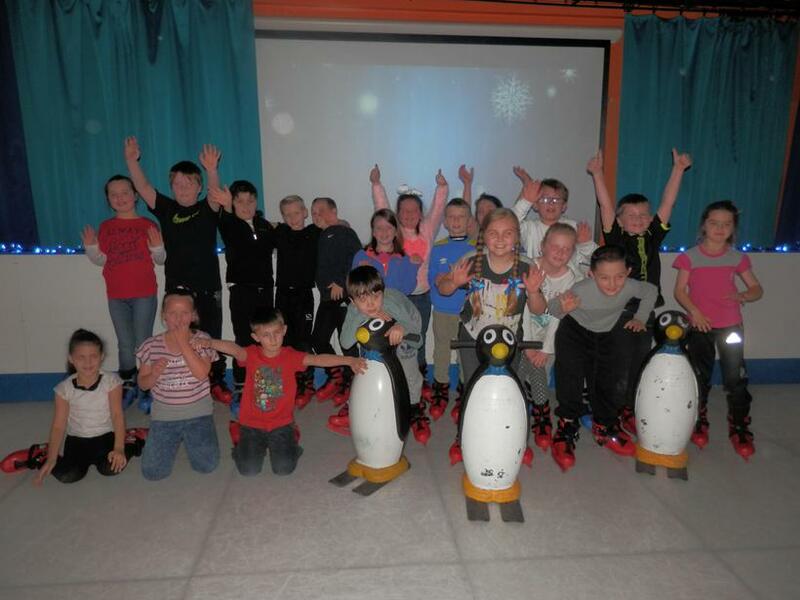 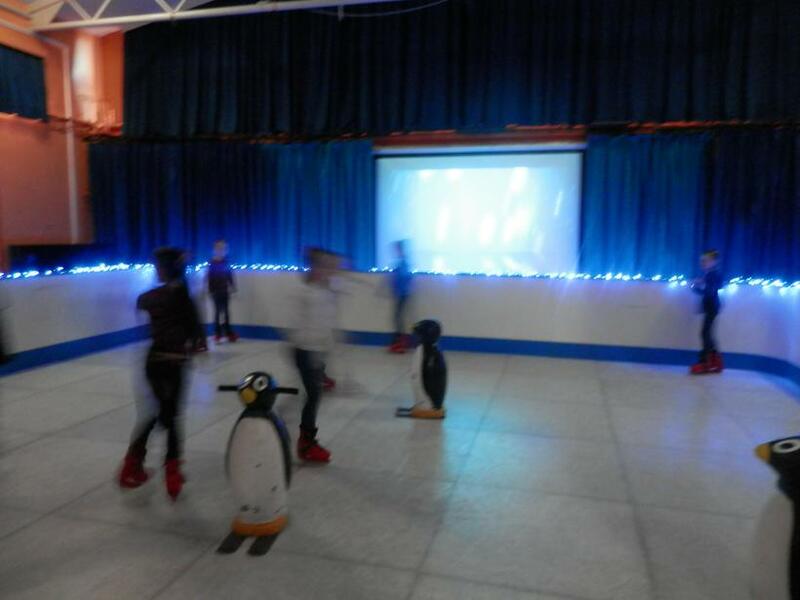 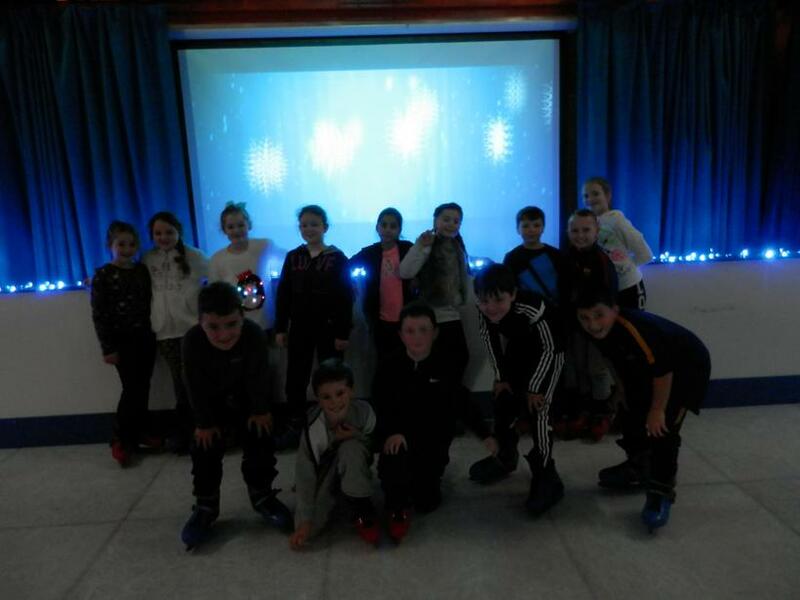 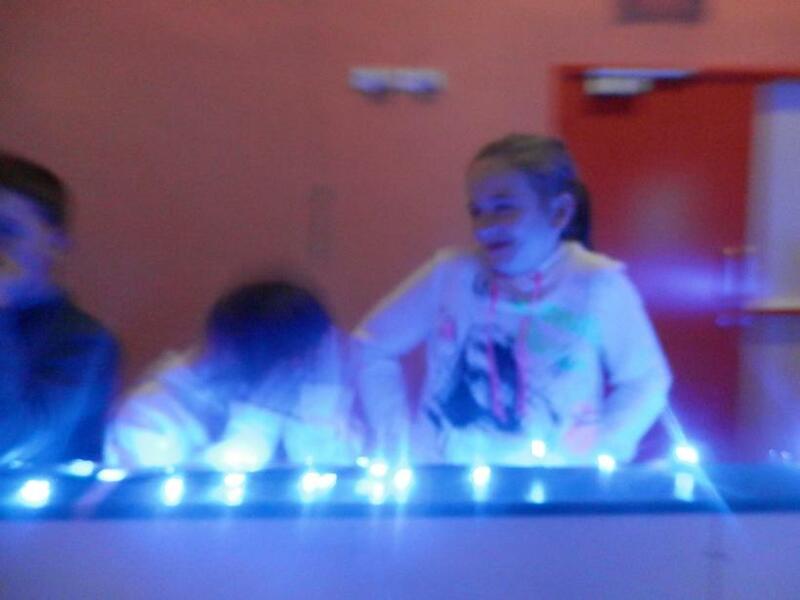 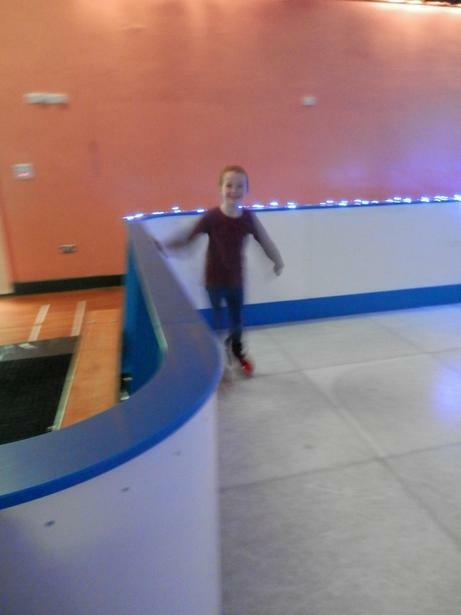 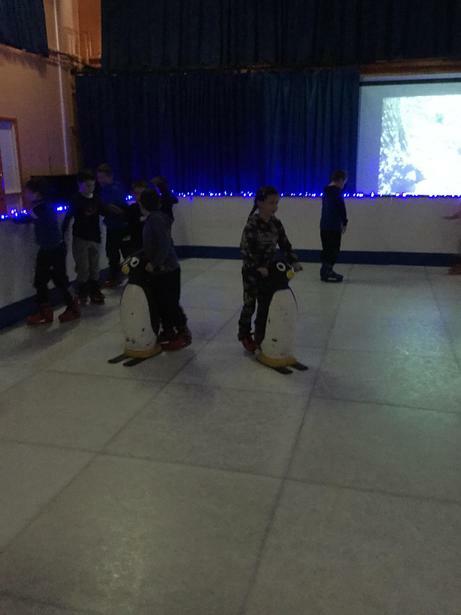 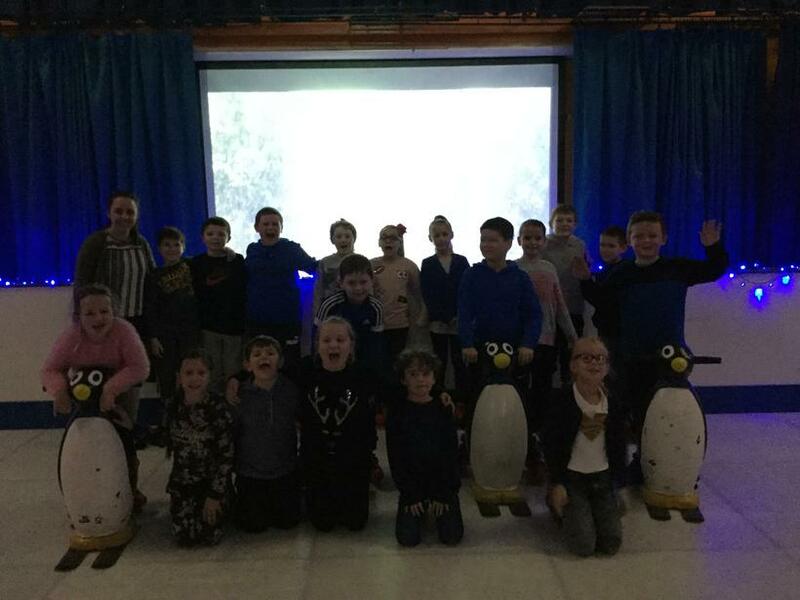 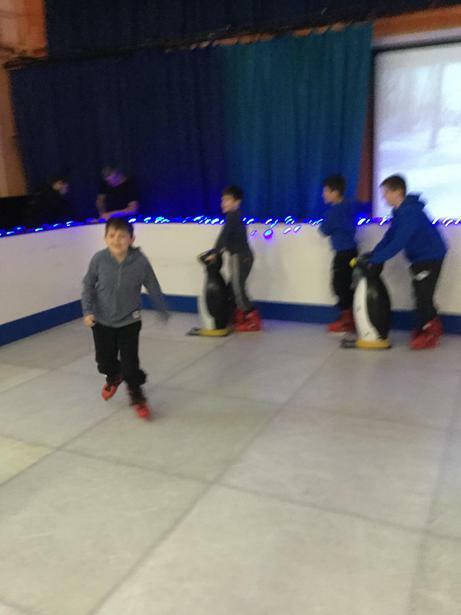 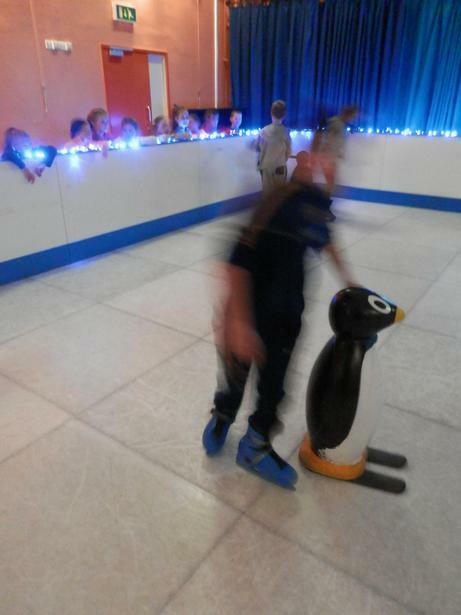 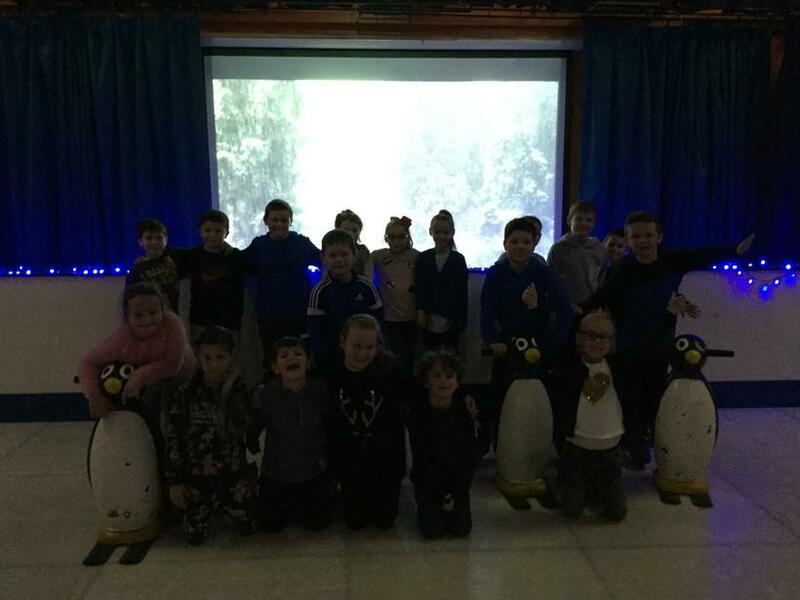 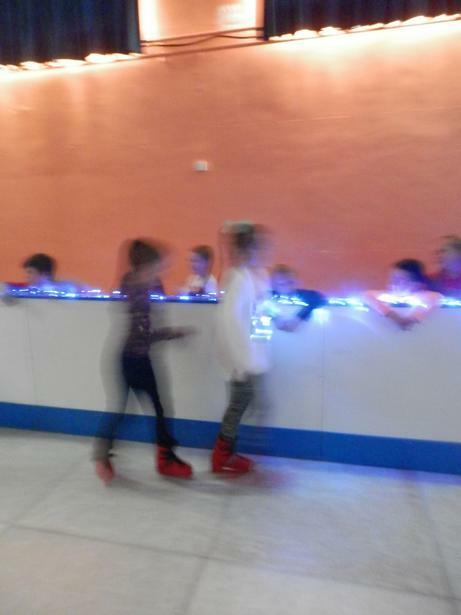 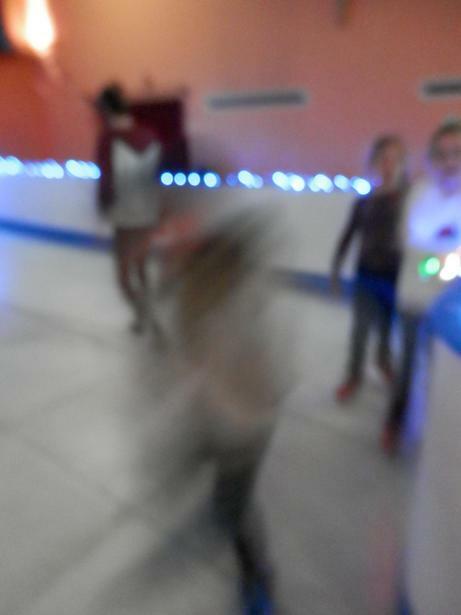 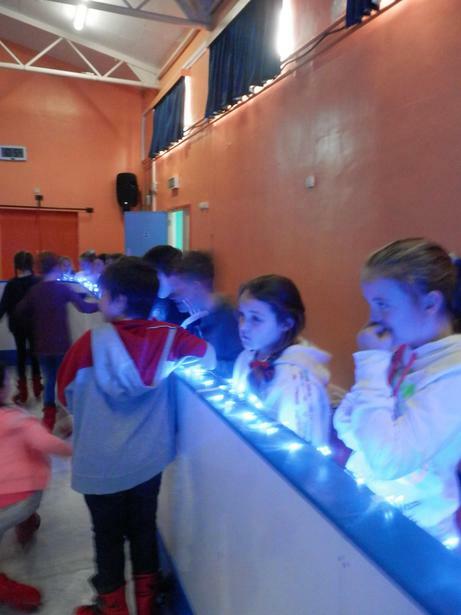 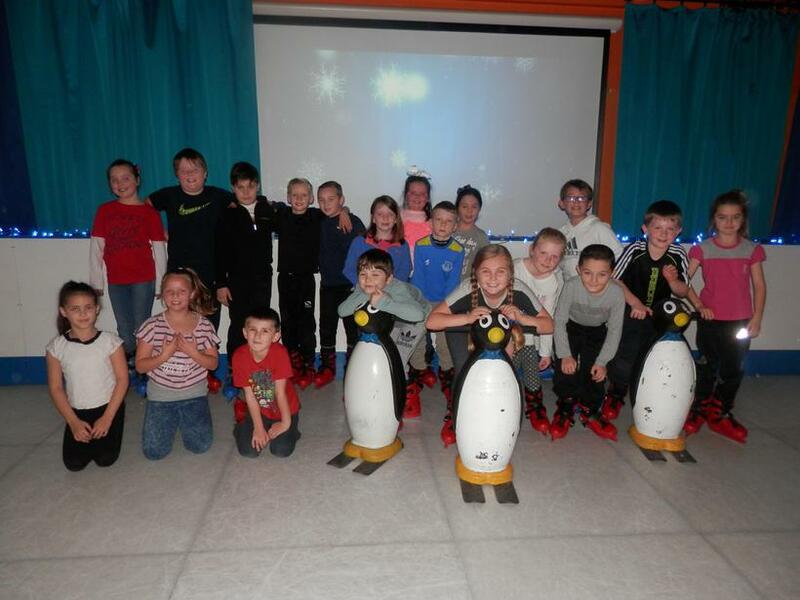 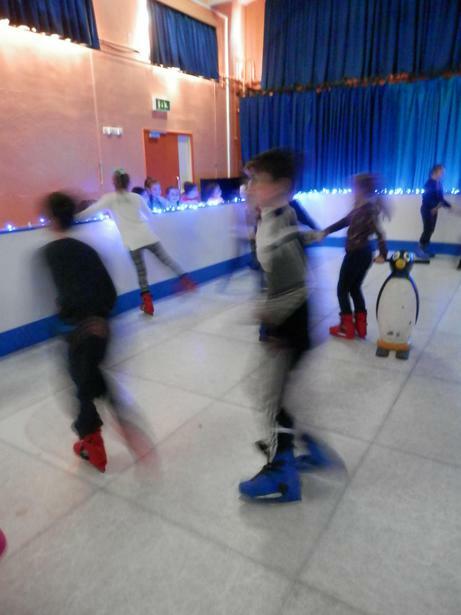 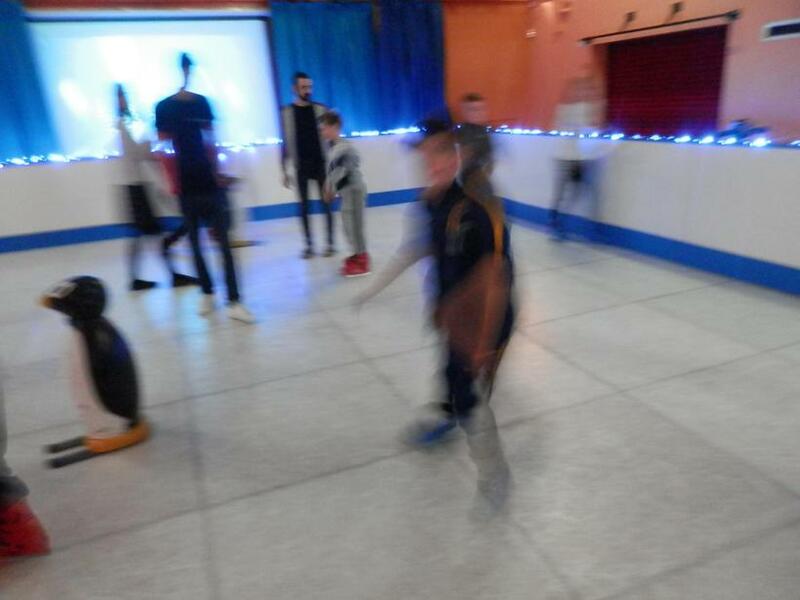 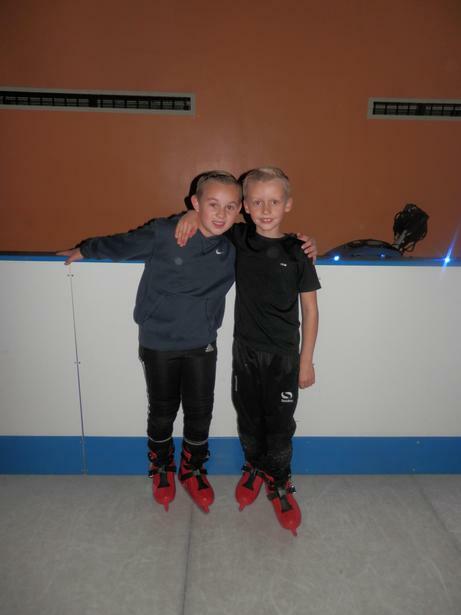 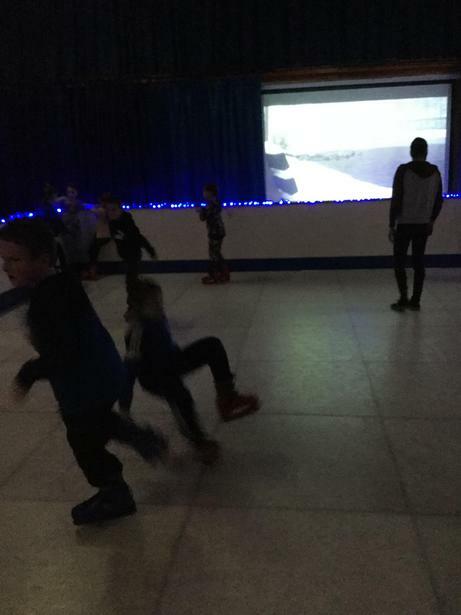 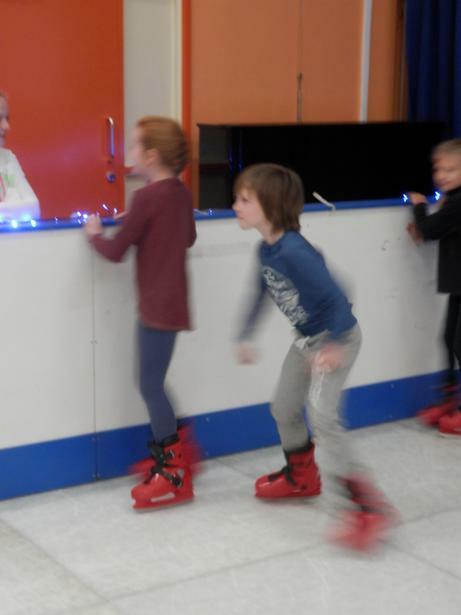 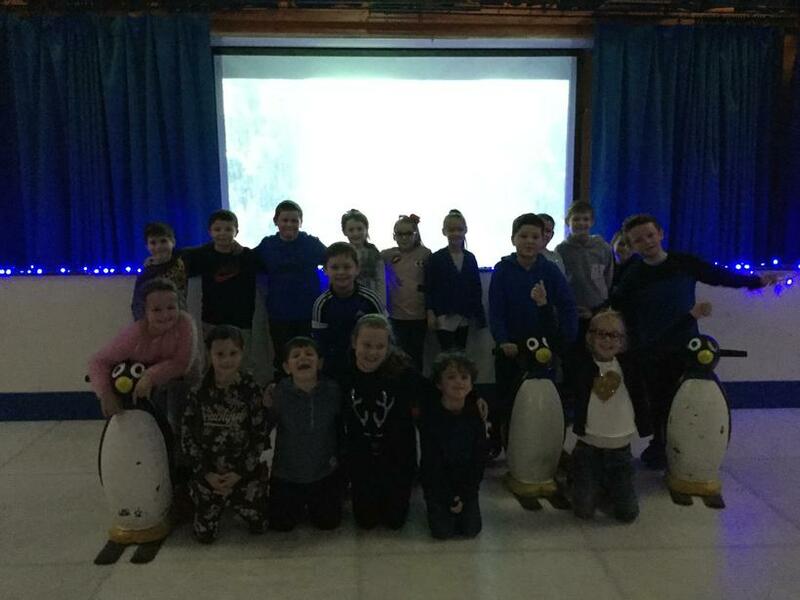 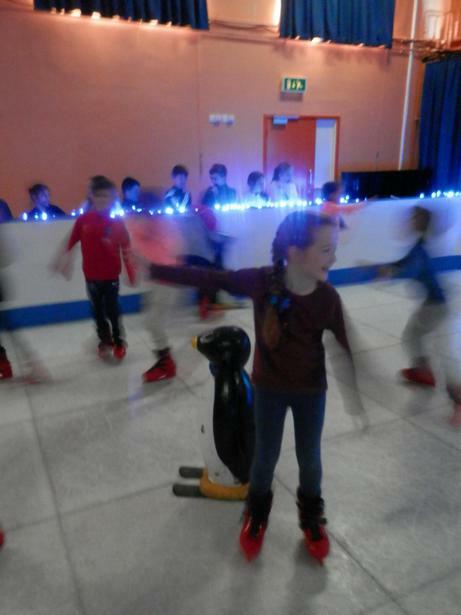 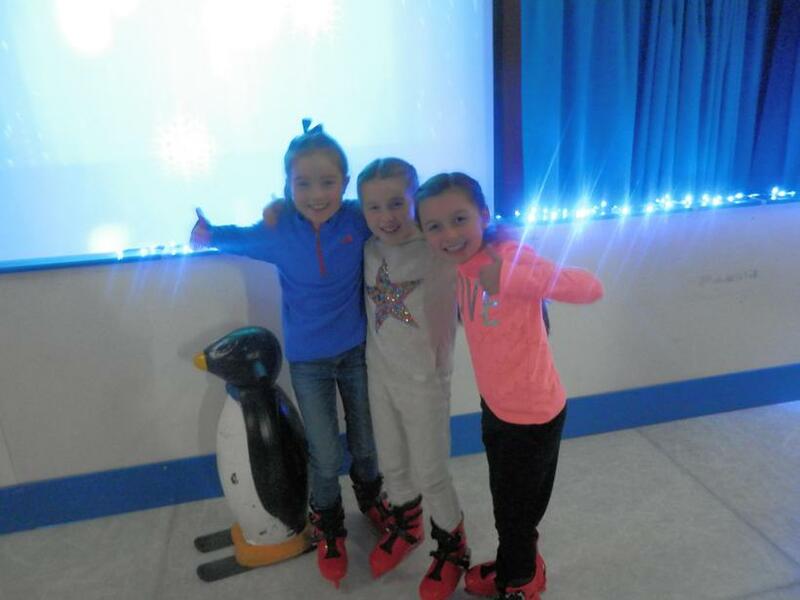 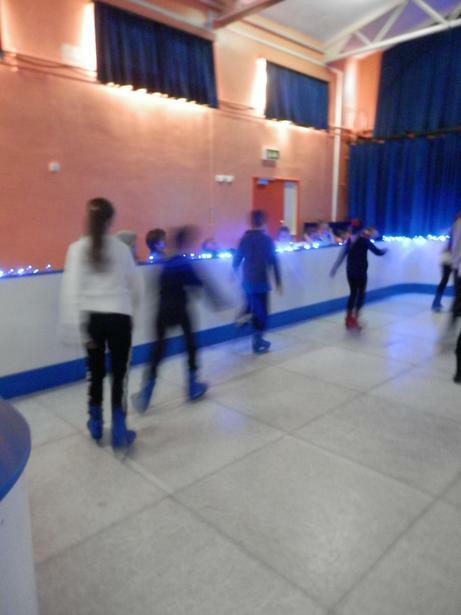 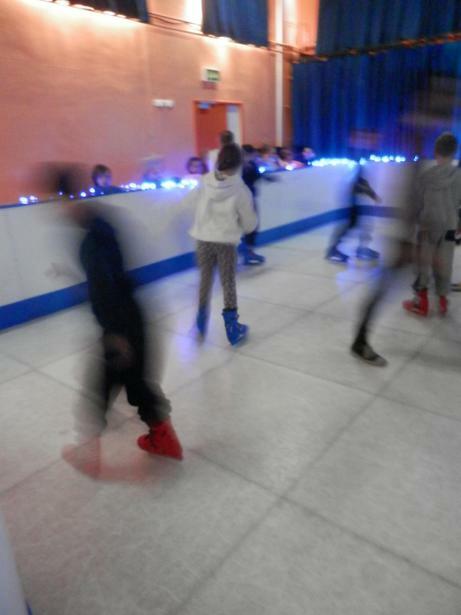 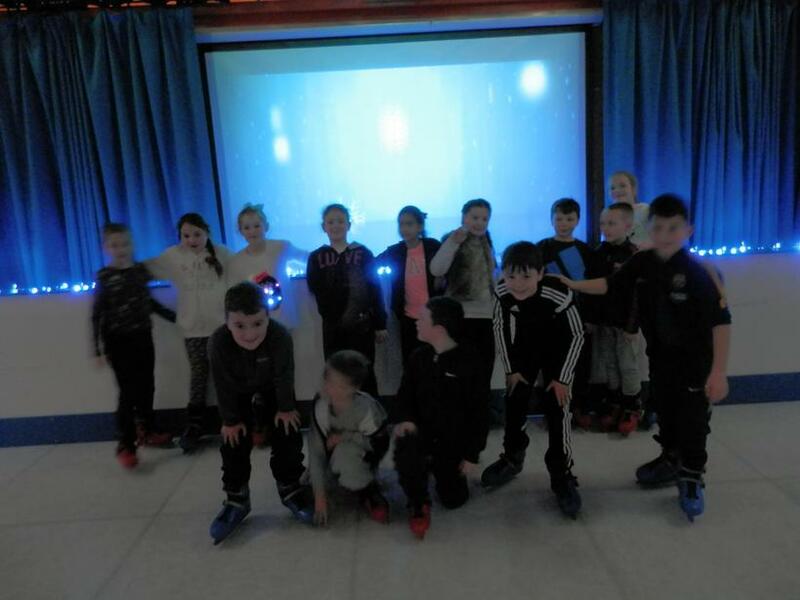 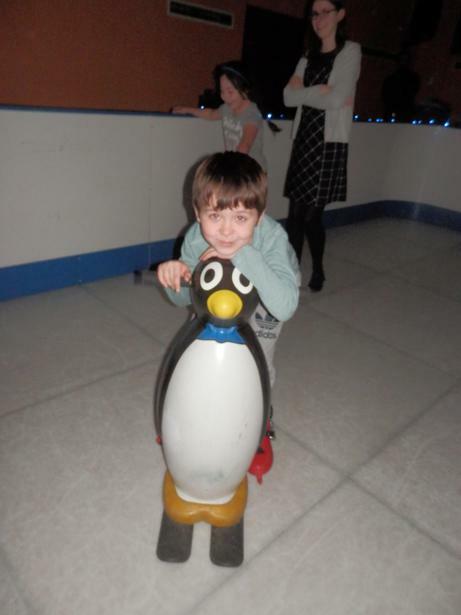 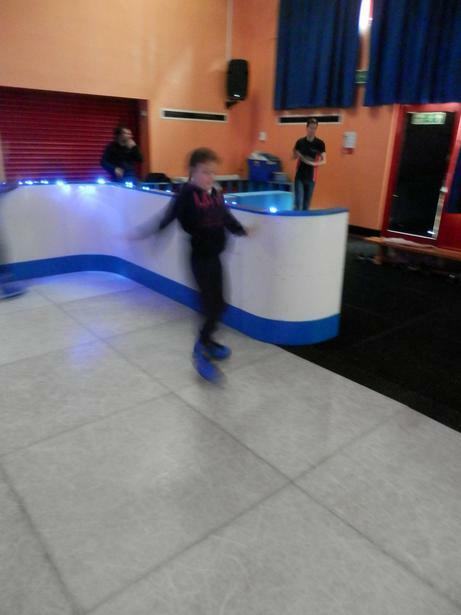 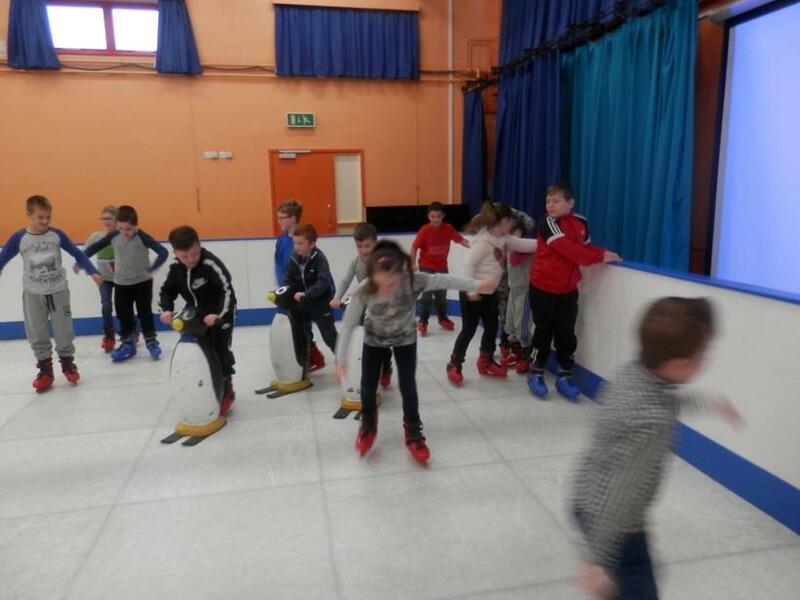 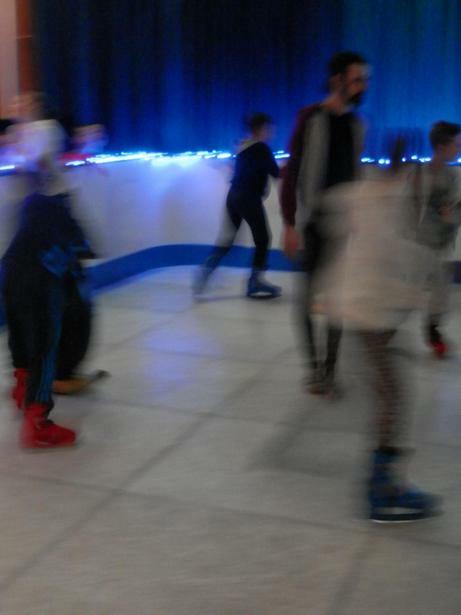 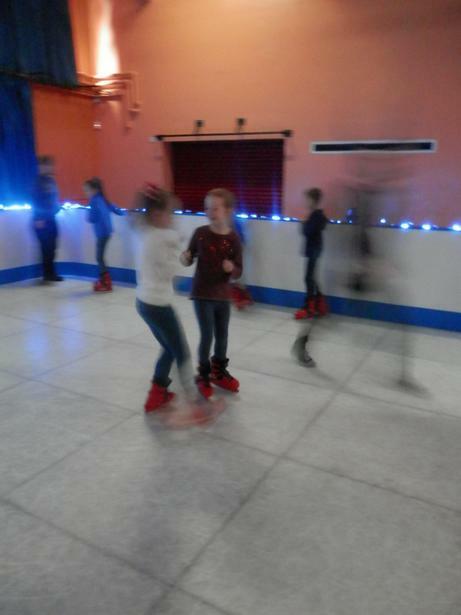 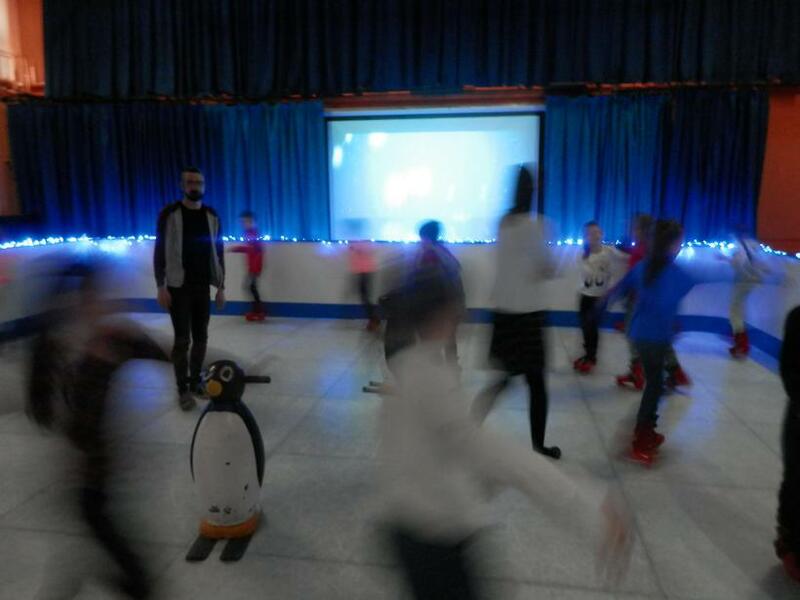 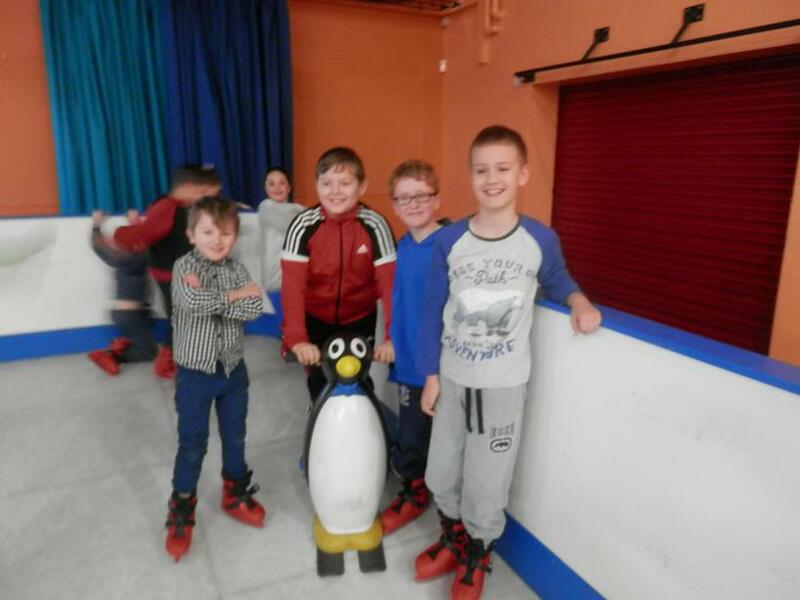 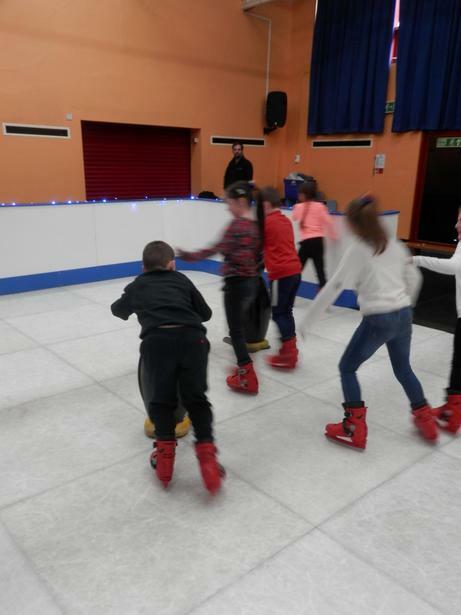 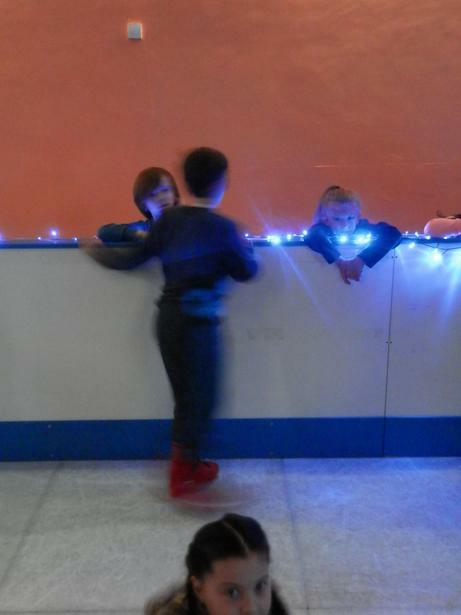 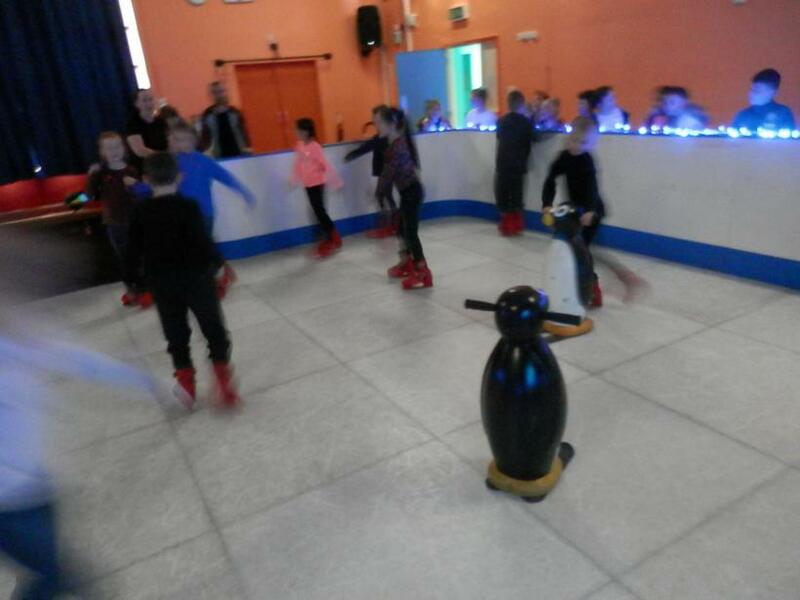 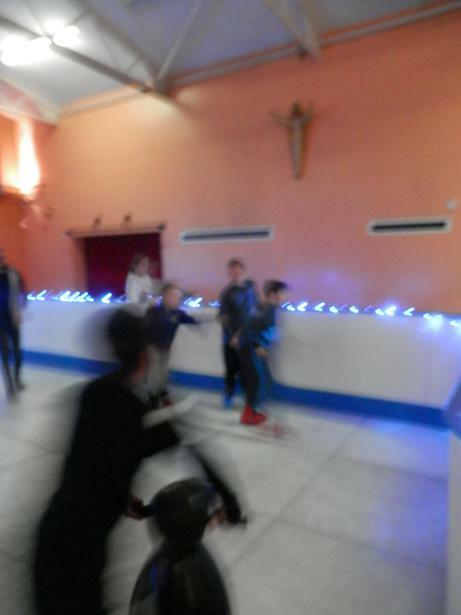 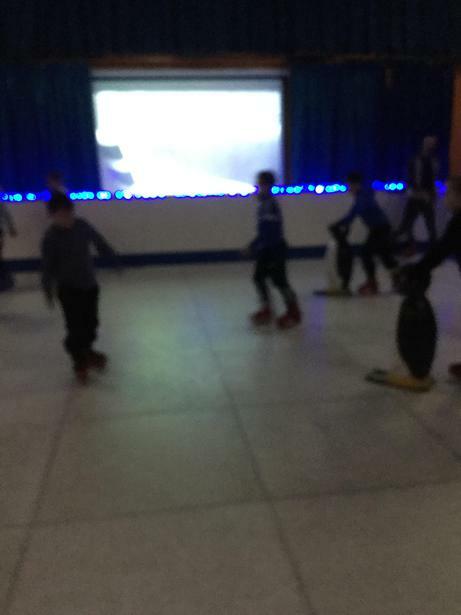 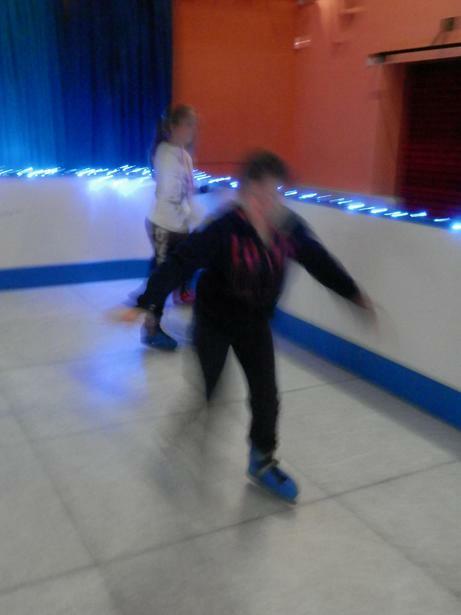 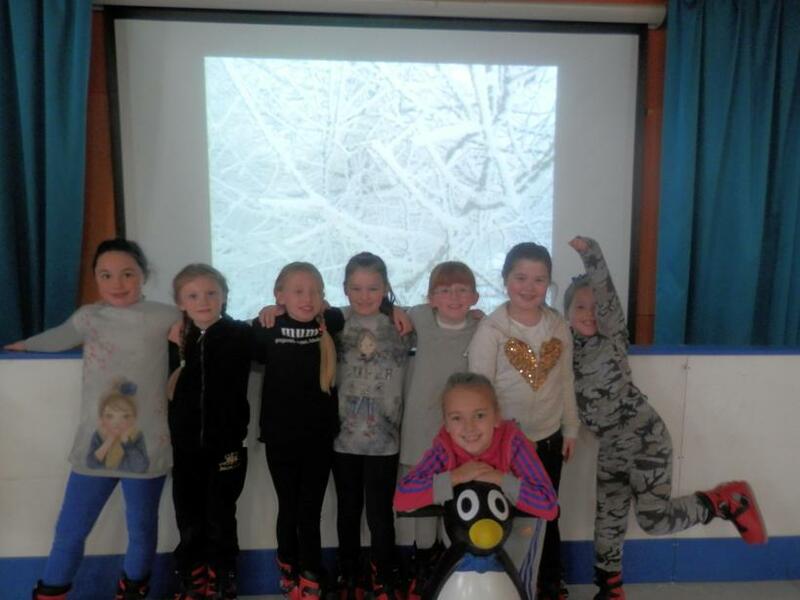 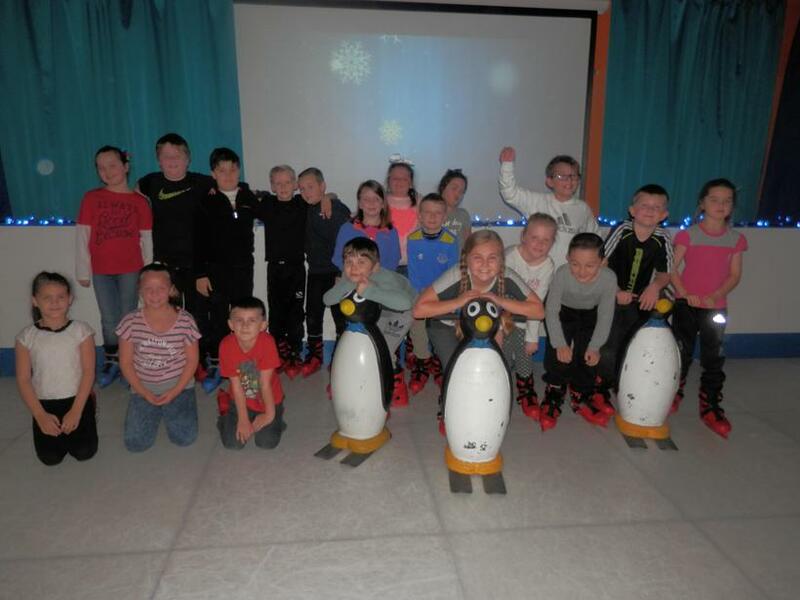 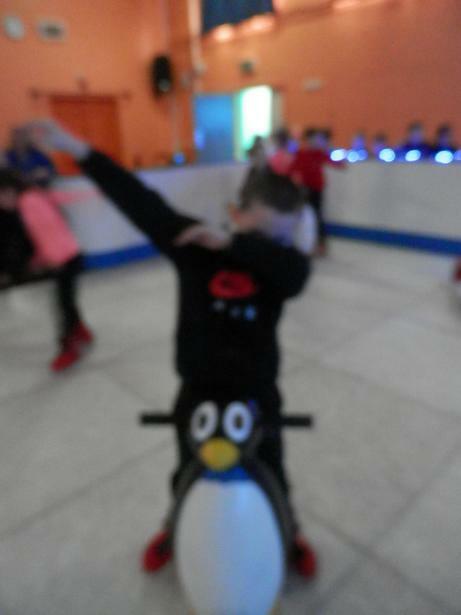 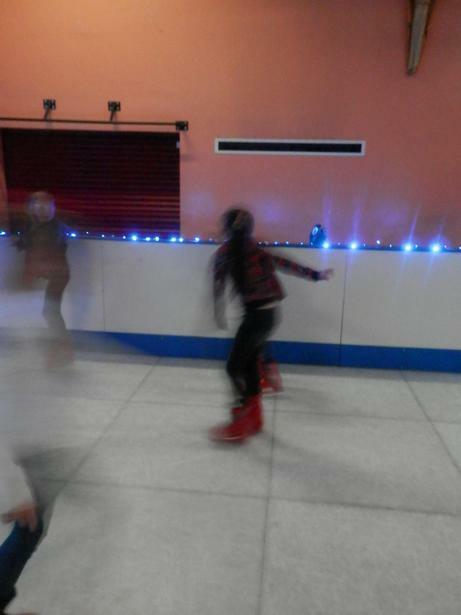 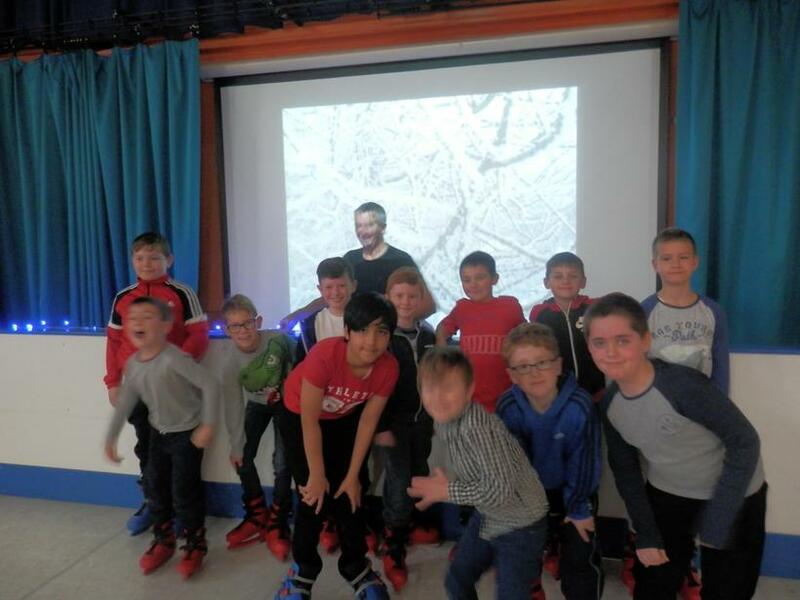 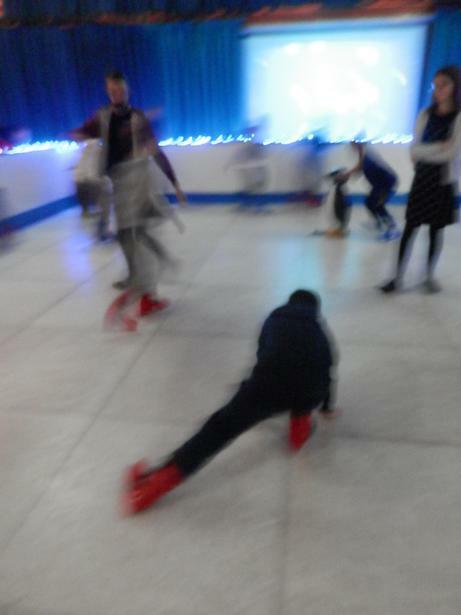 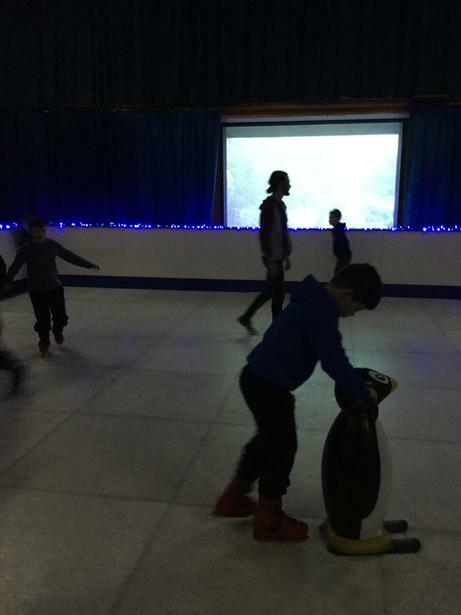 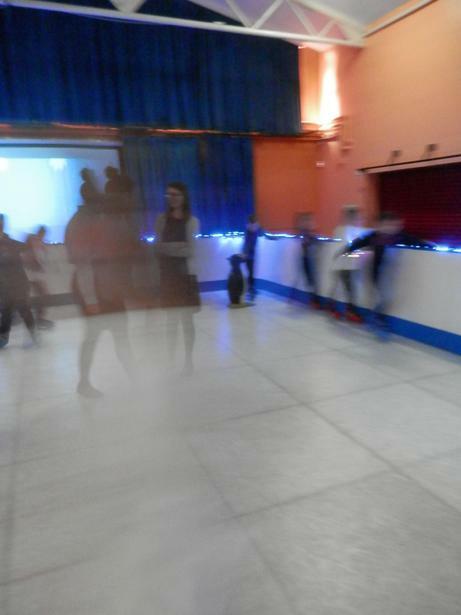 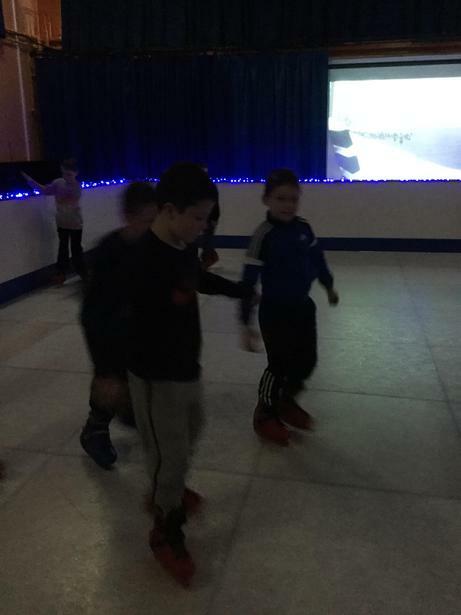 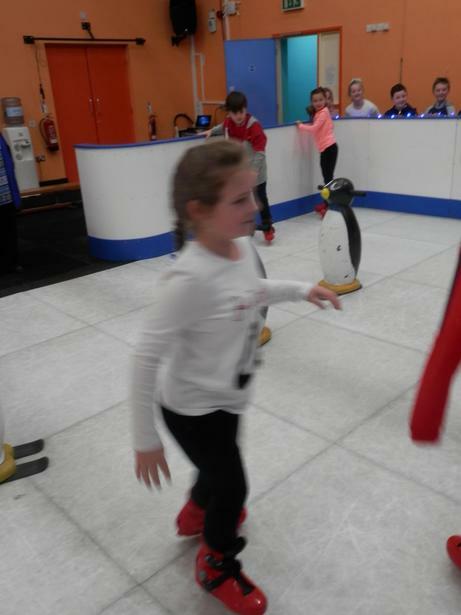 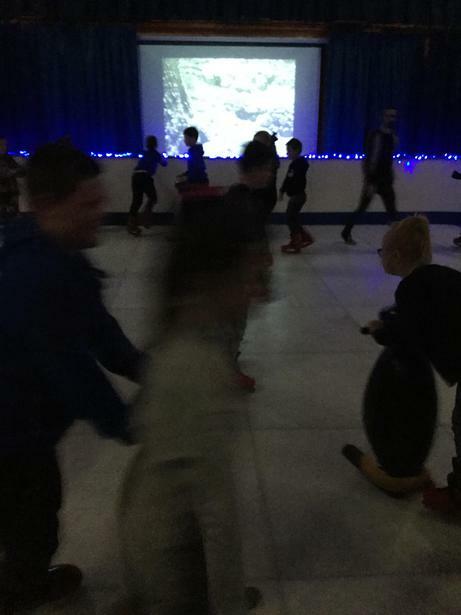 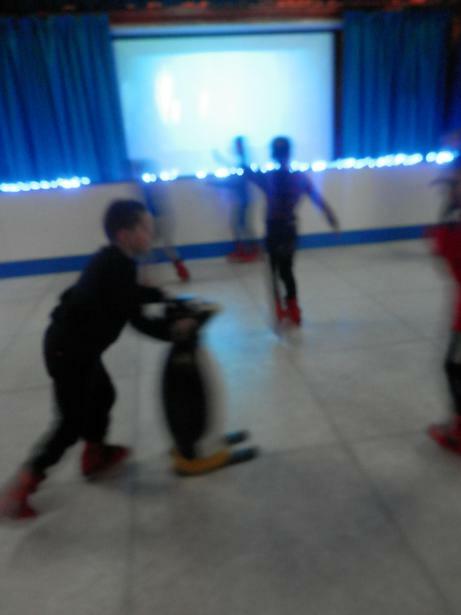 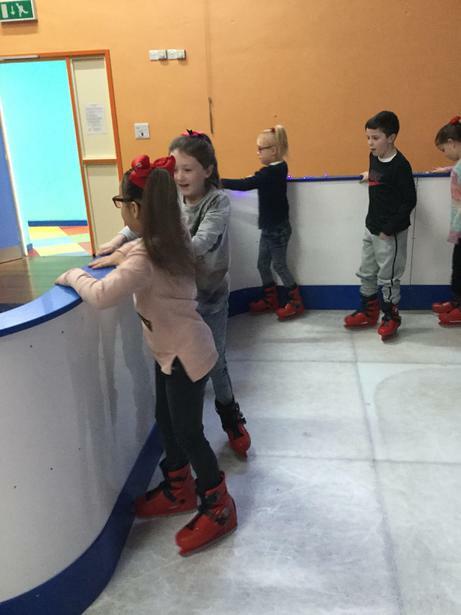 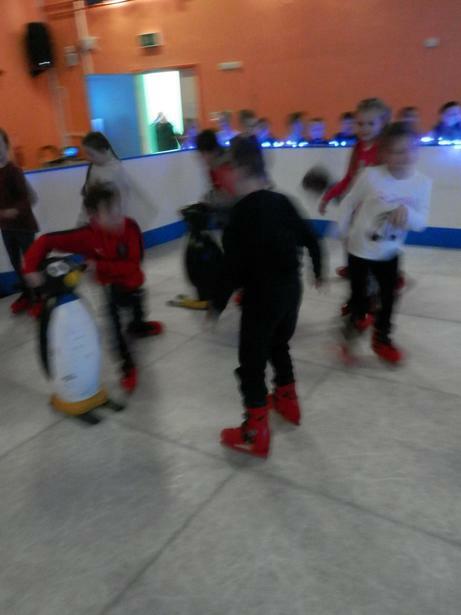 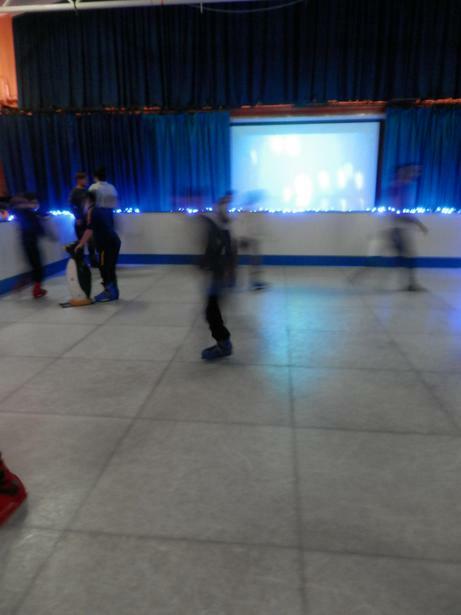 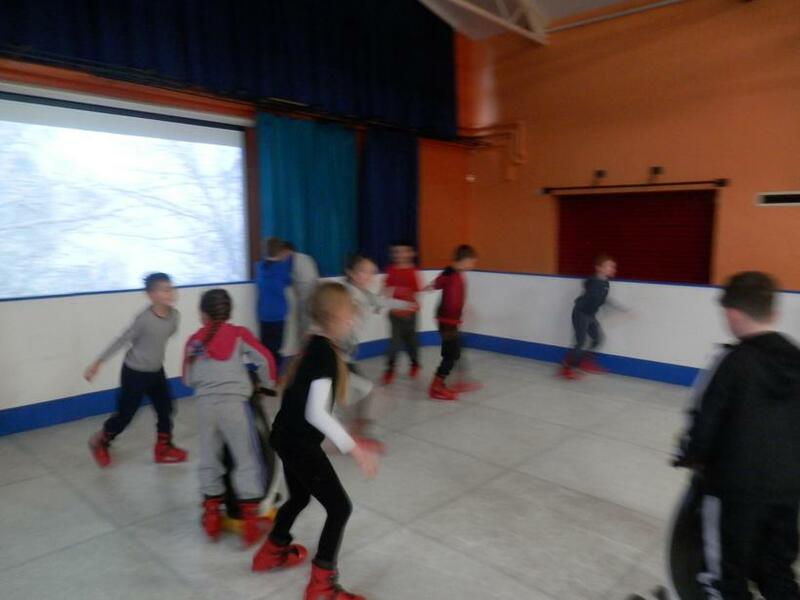 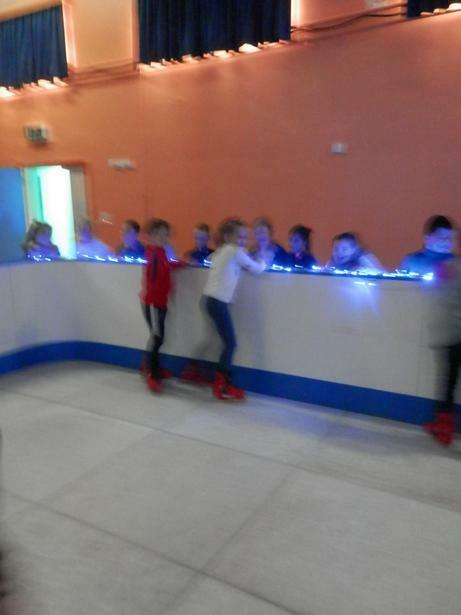 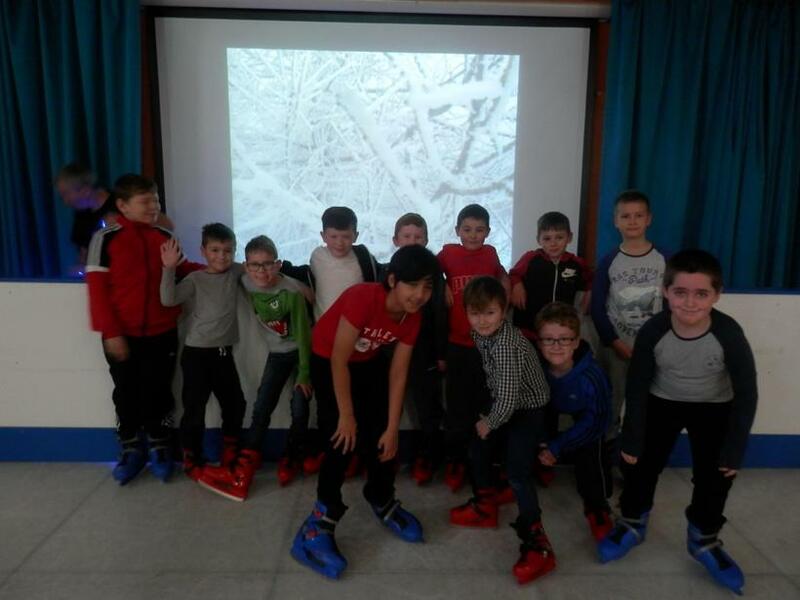 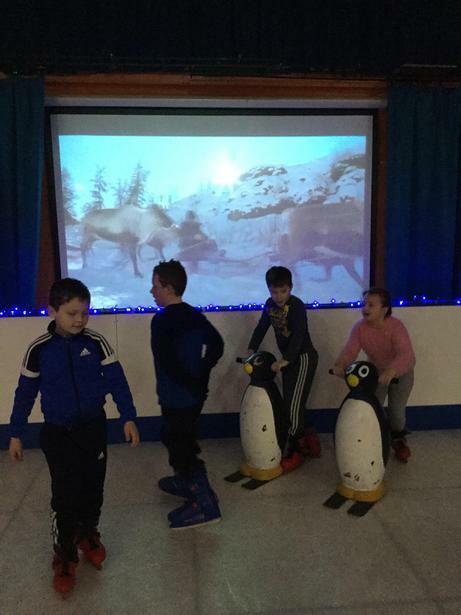 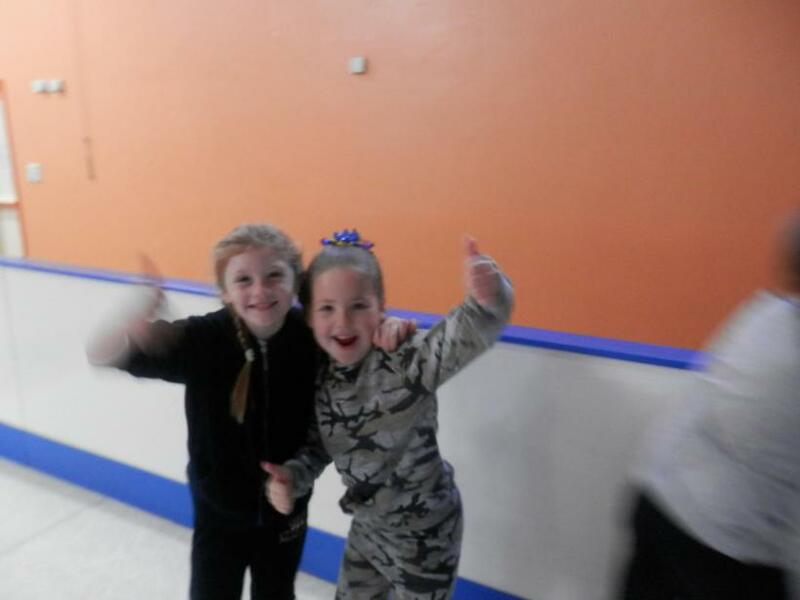 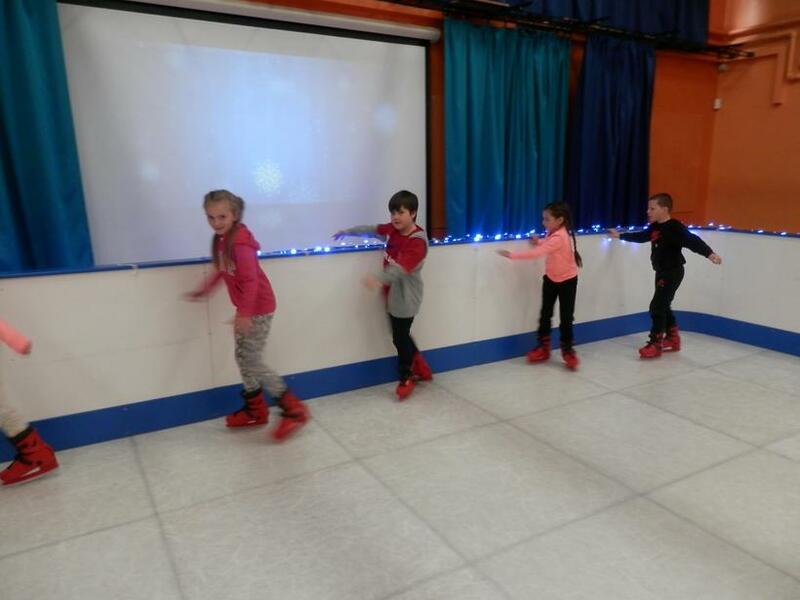 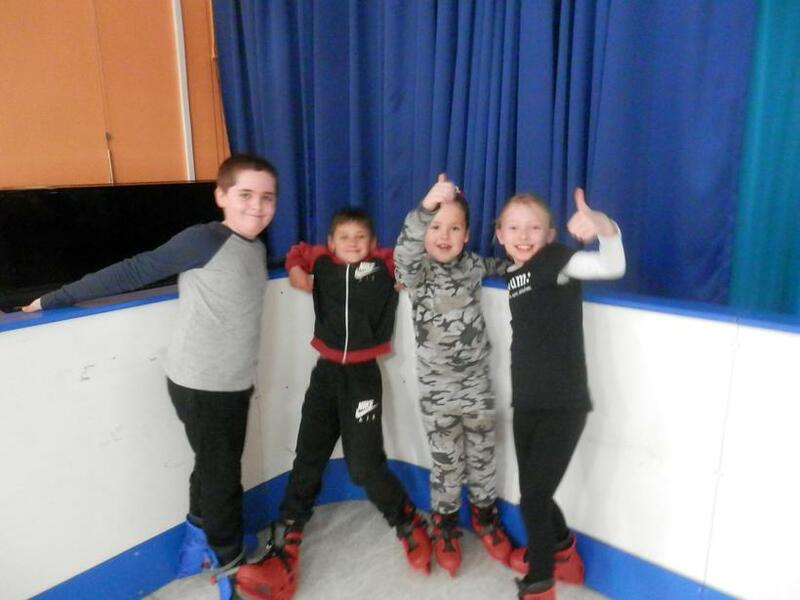 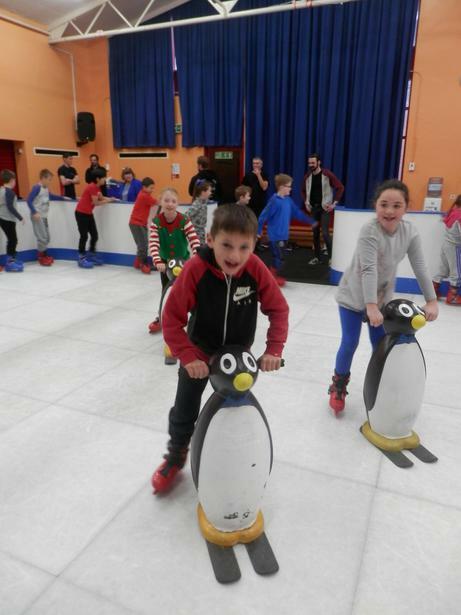 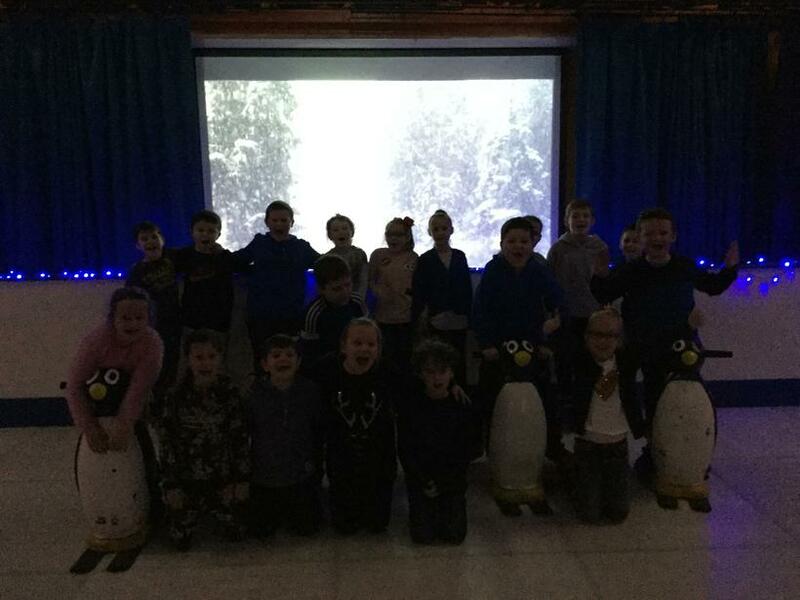 Today, we enjoyed ‘Ice Magic’ and the opportunity to go ice skating in our school hall. 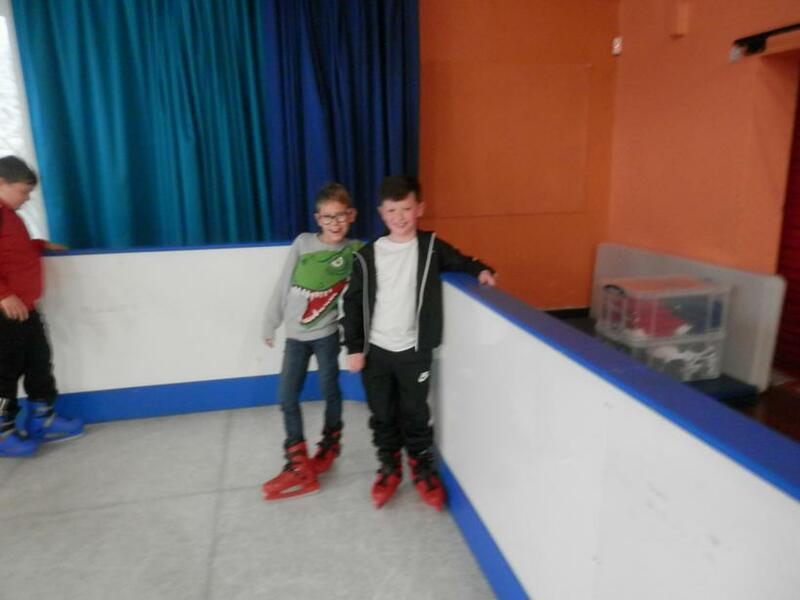 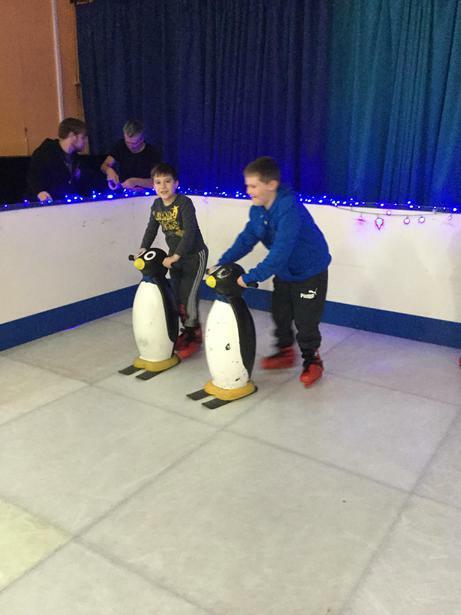 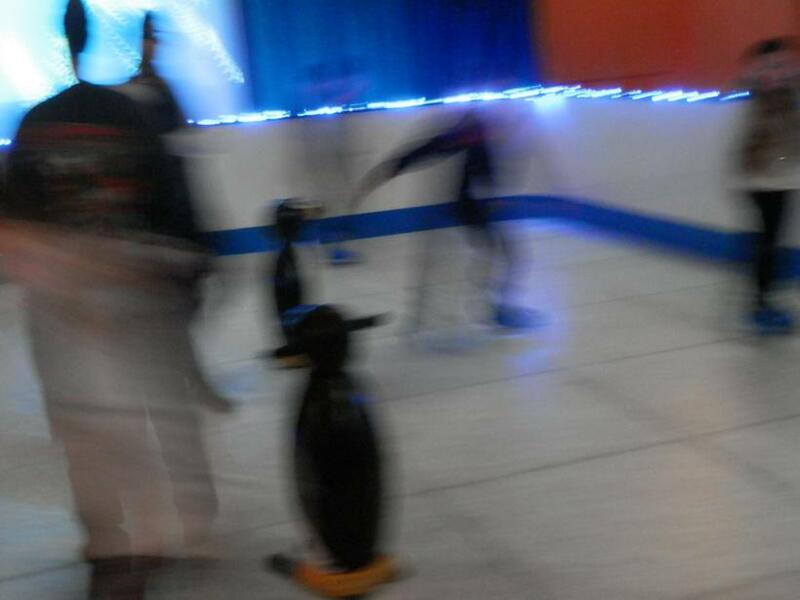 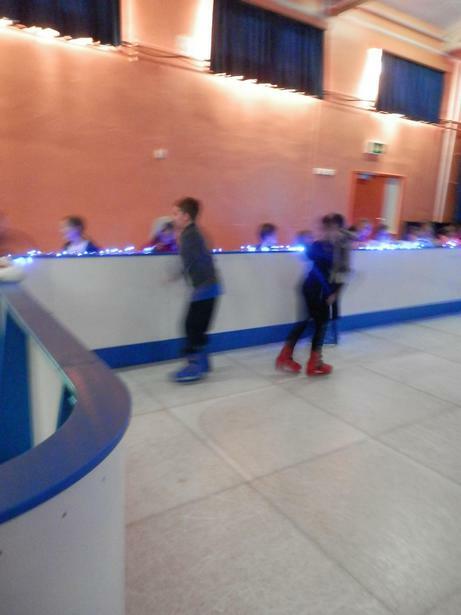 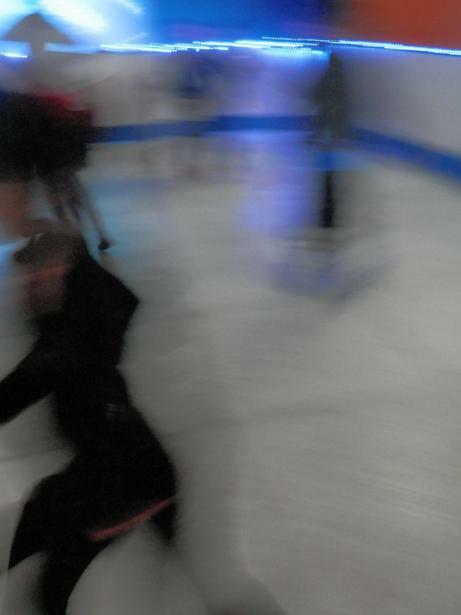 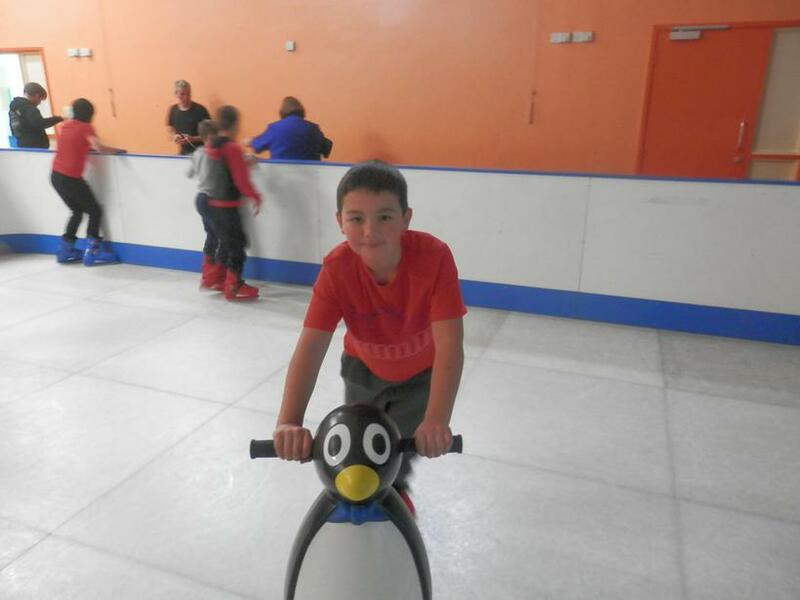 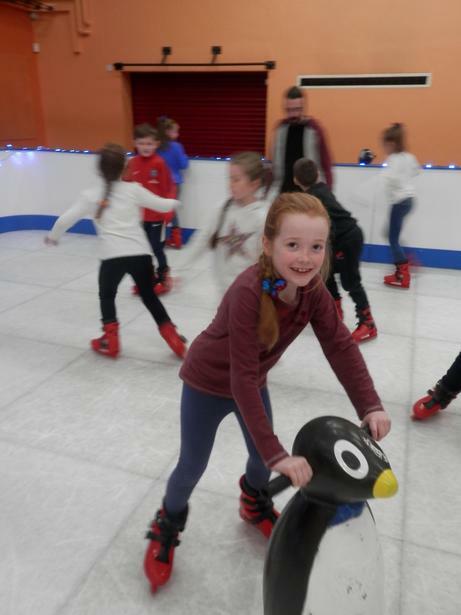 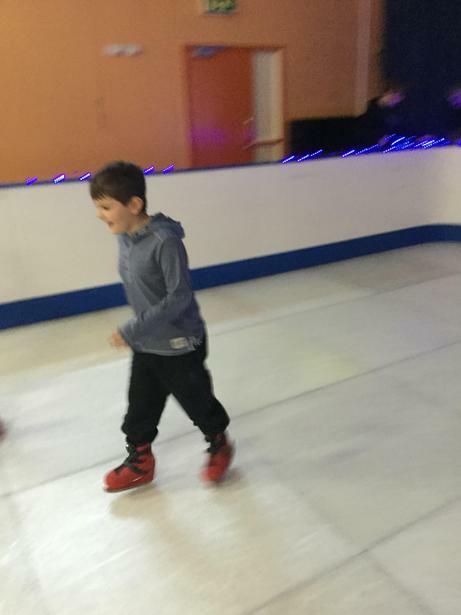 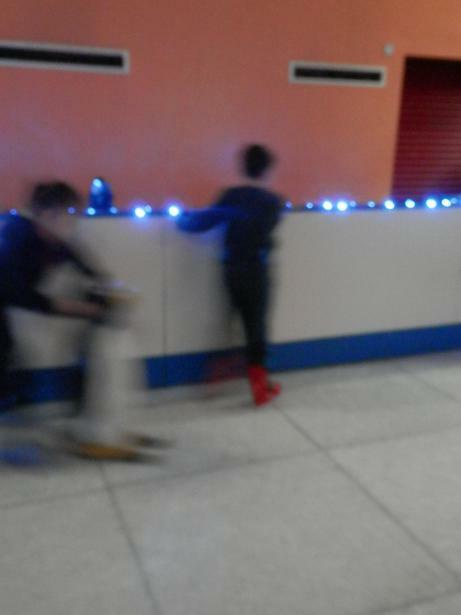 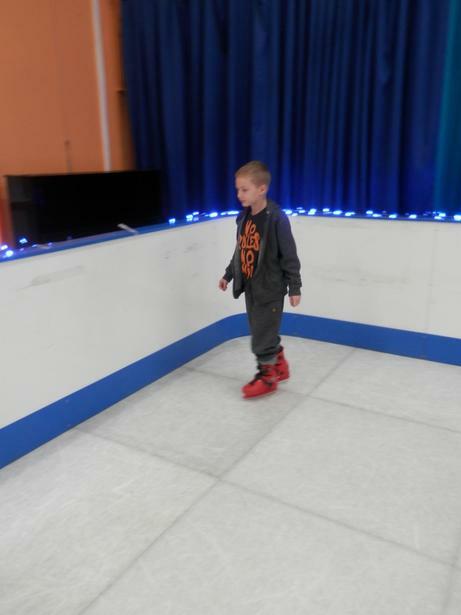 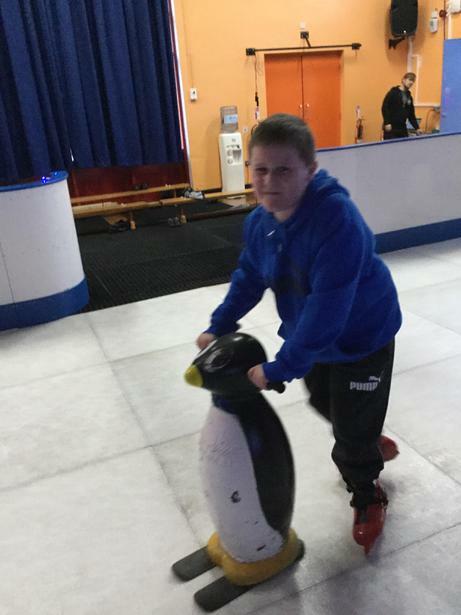 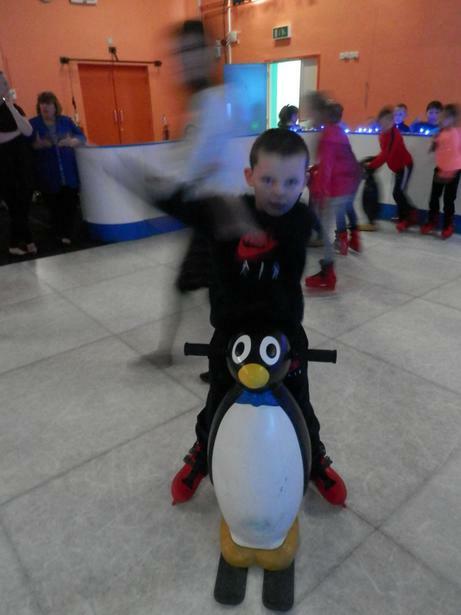 Yes – it was a real ice rink with real ice skates! 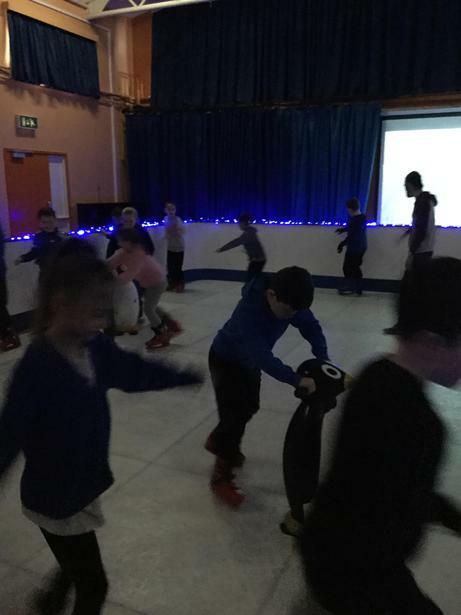 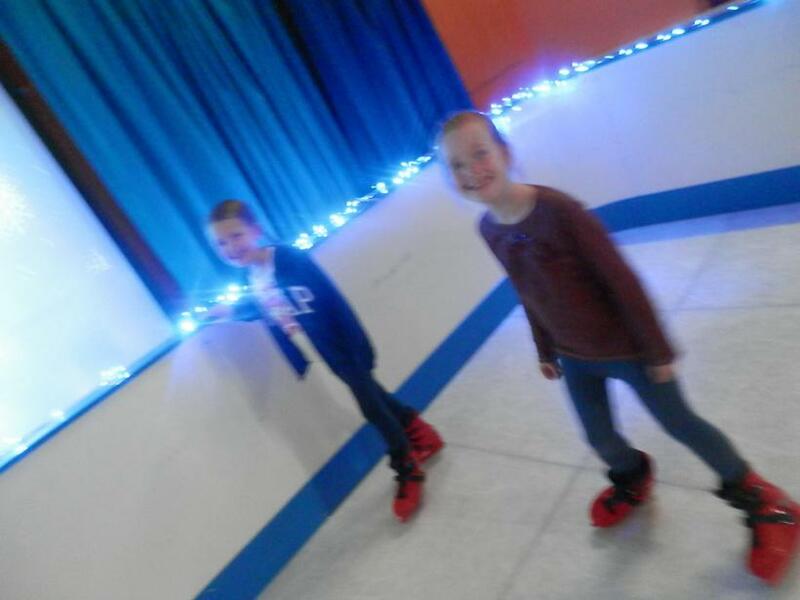 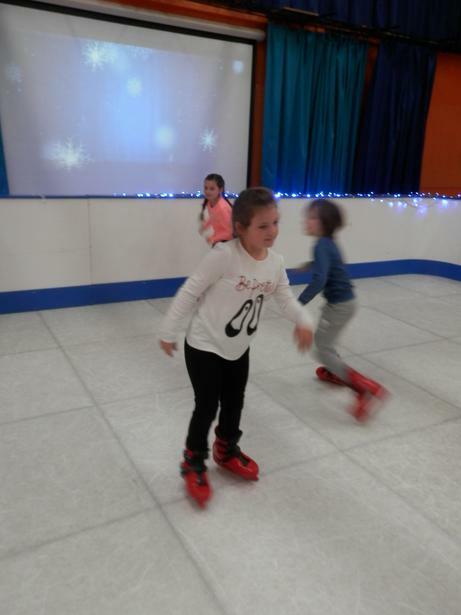 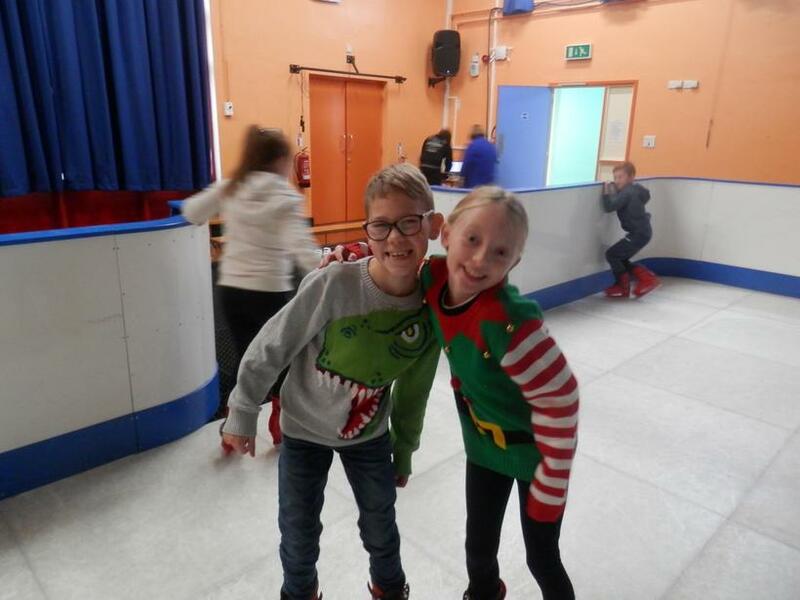 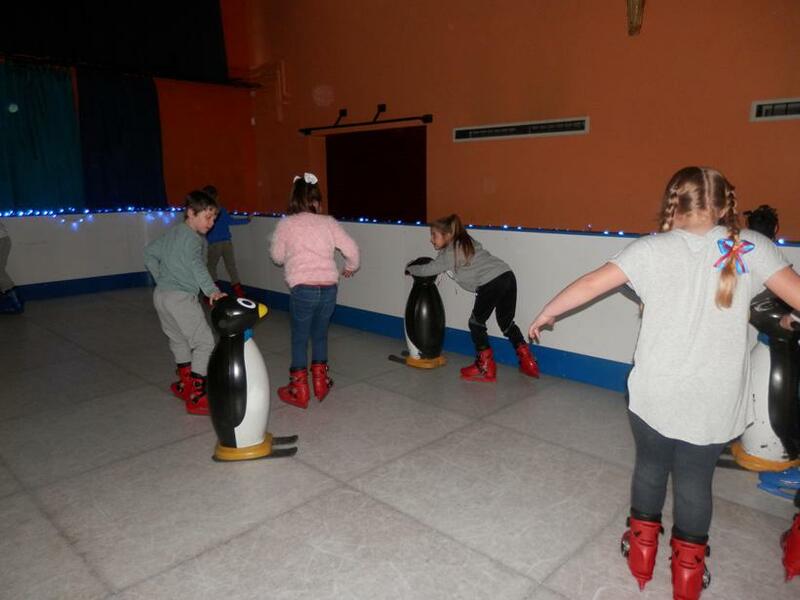 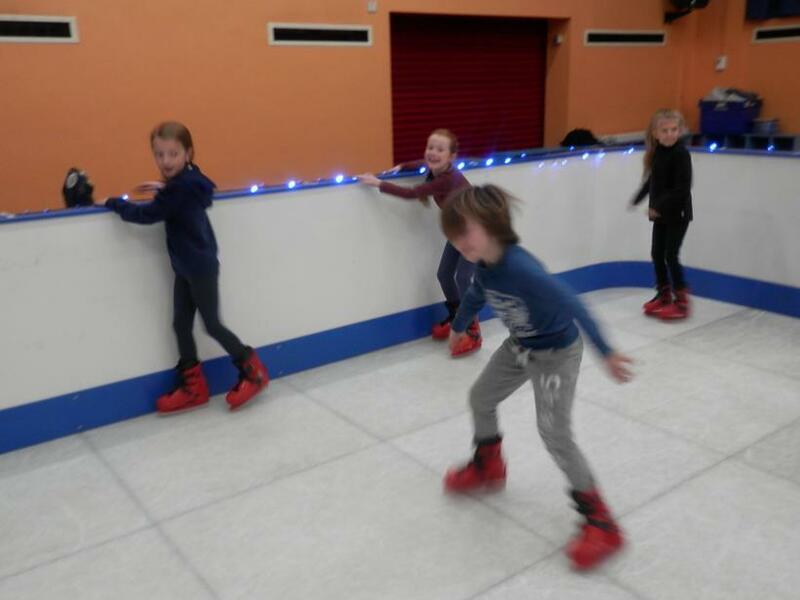 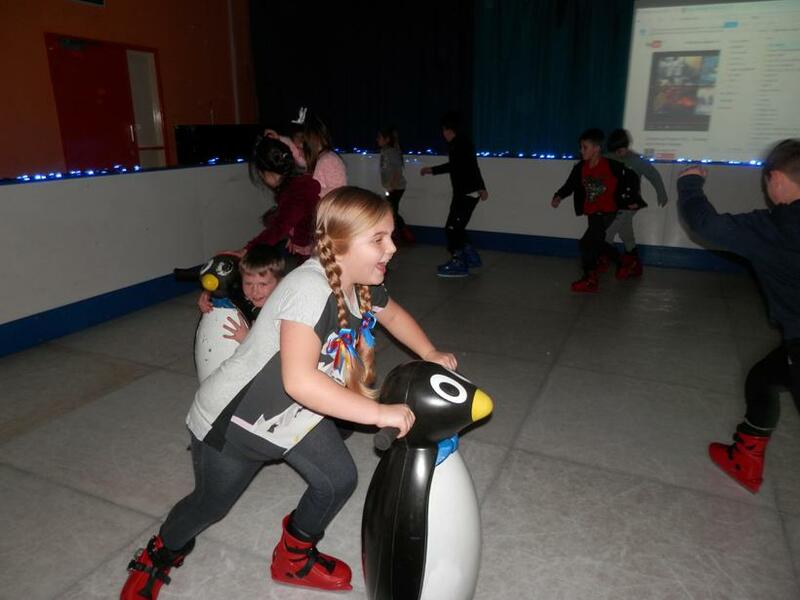 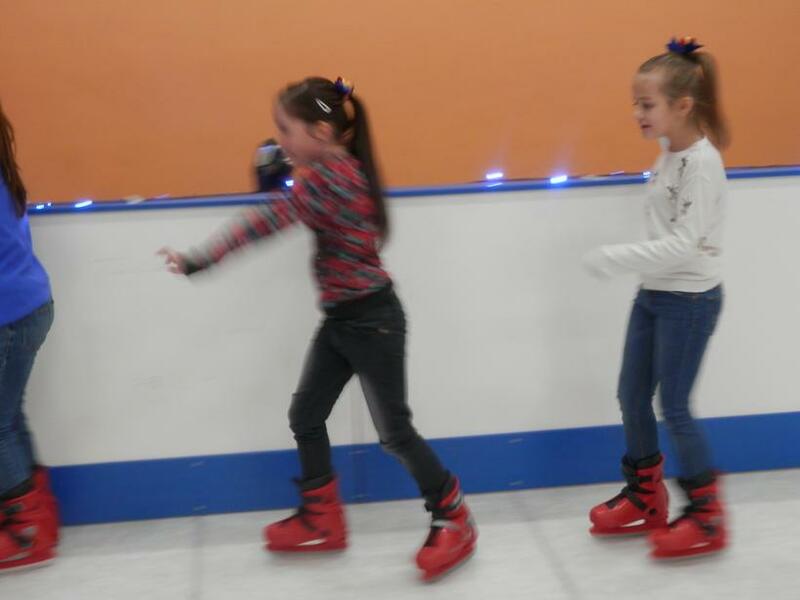 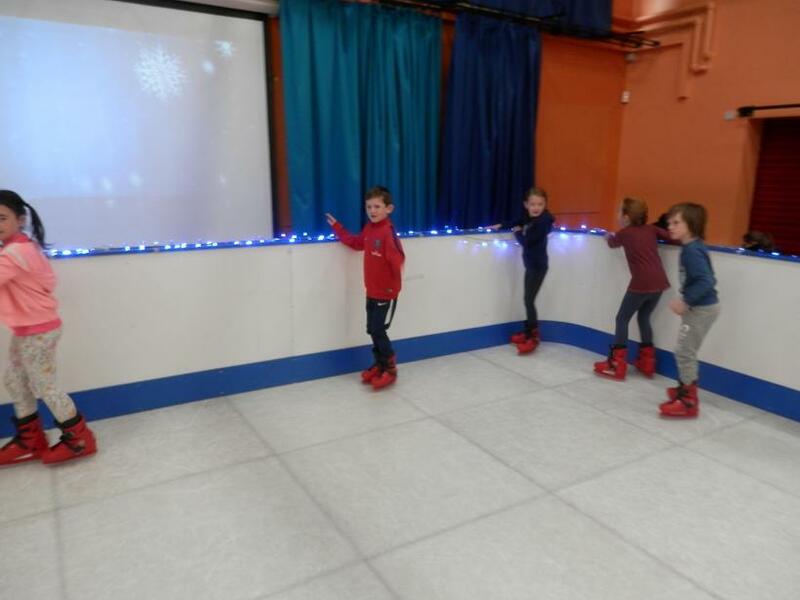 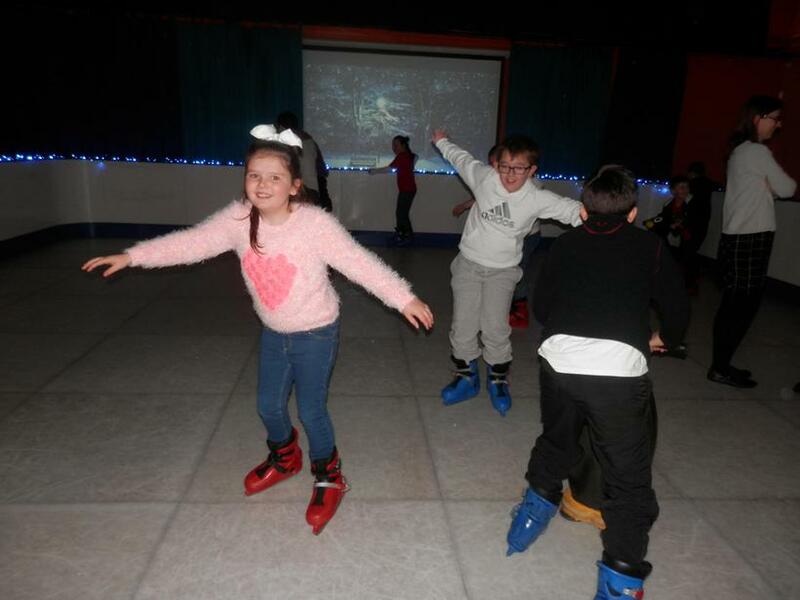 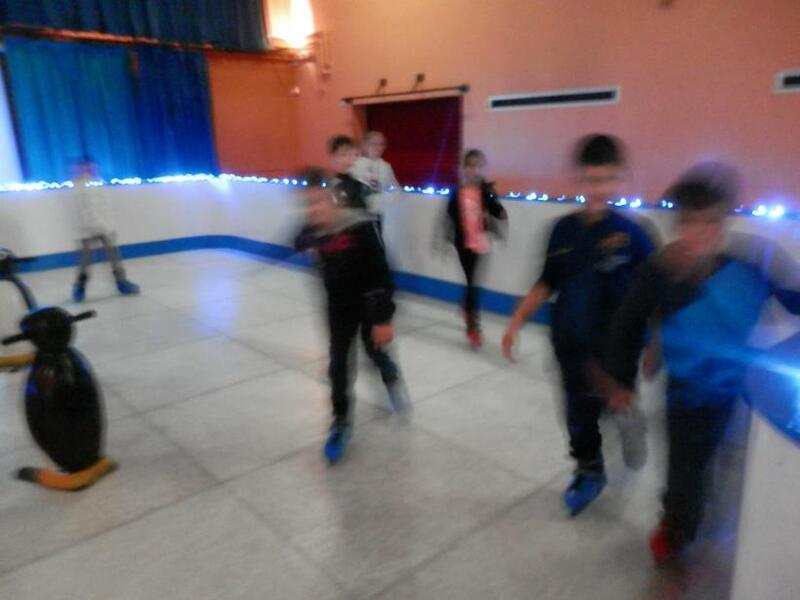 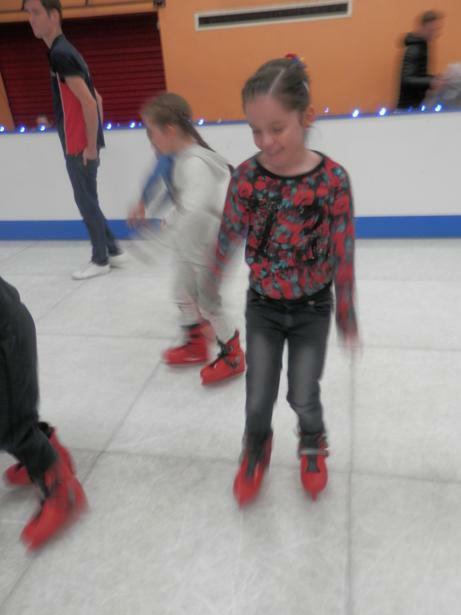 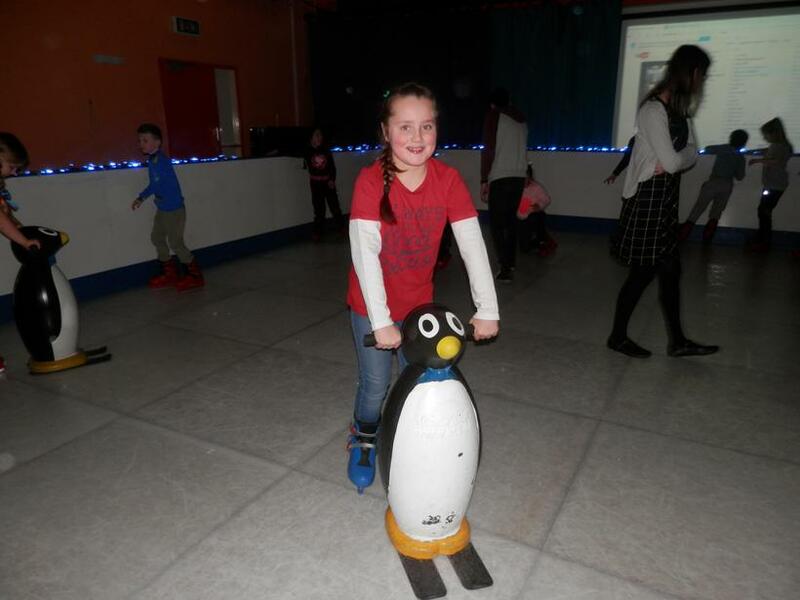 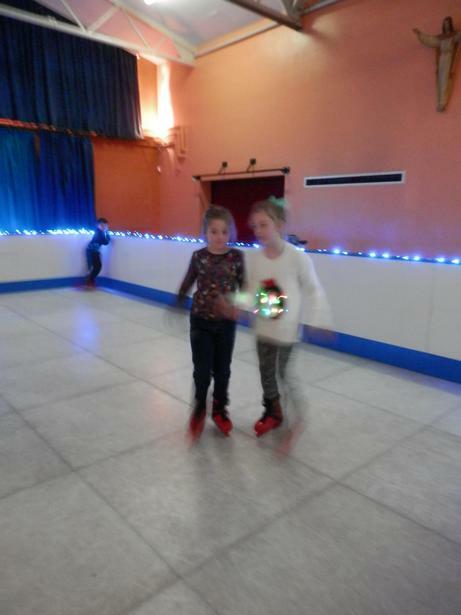 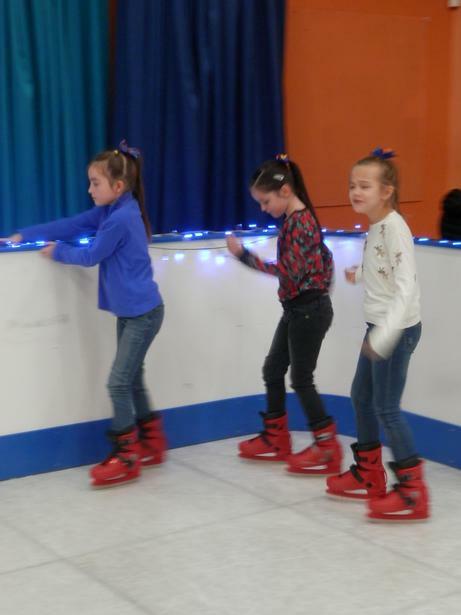 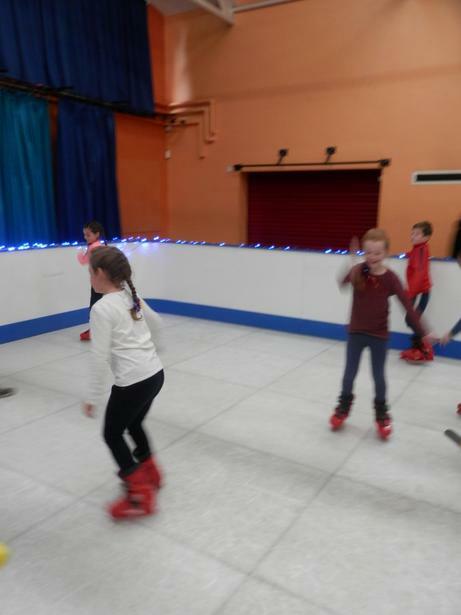 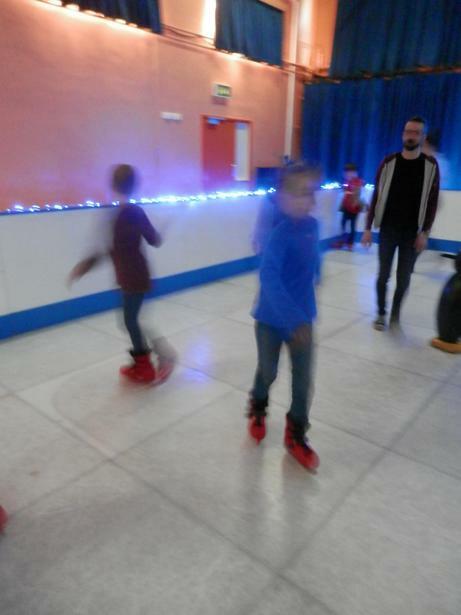 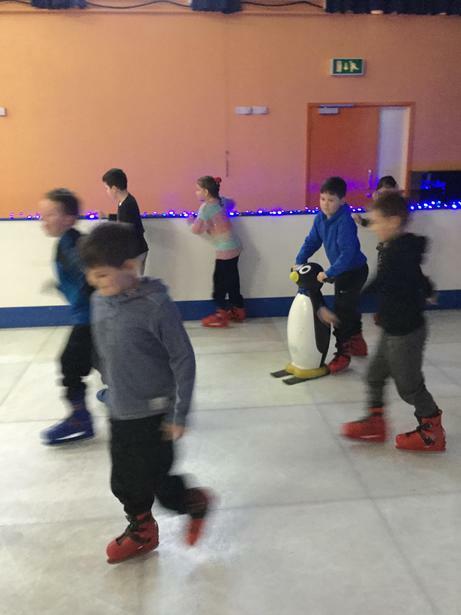 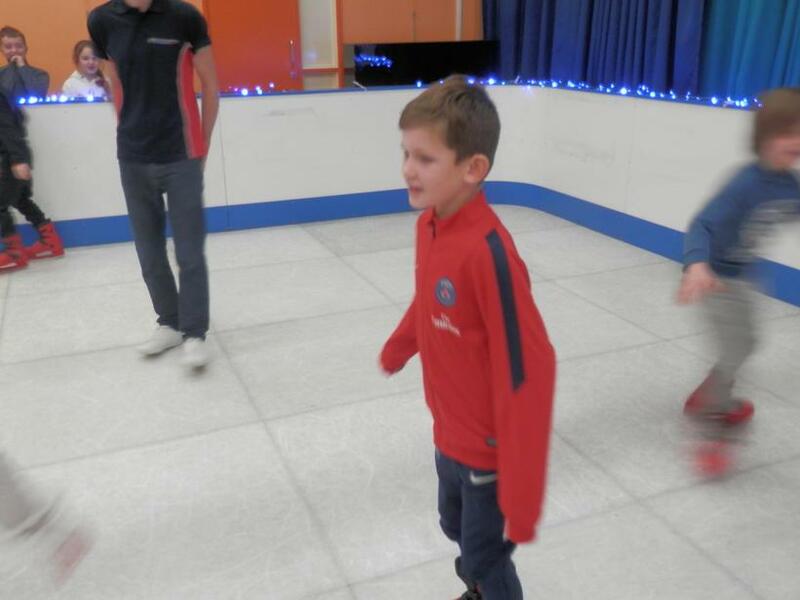 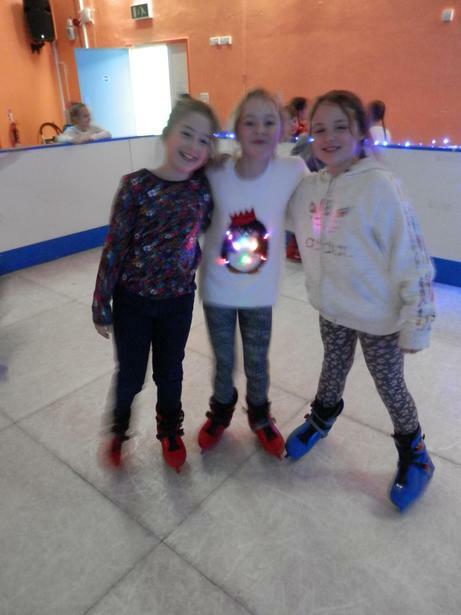 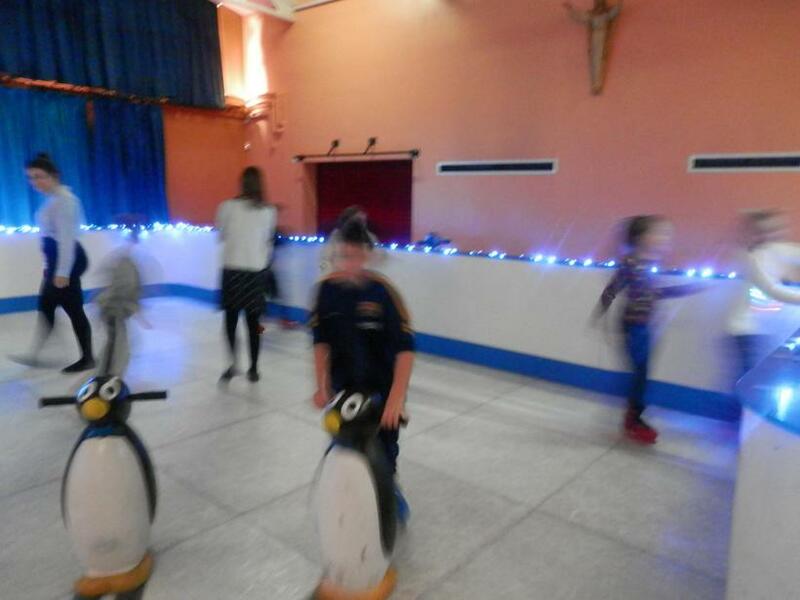 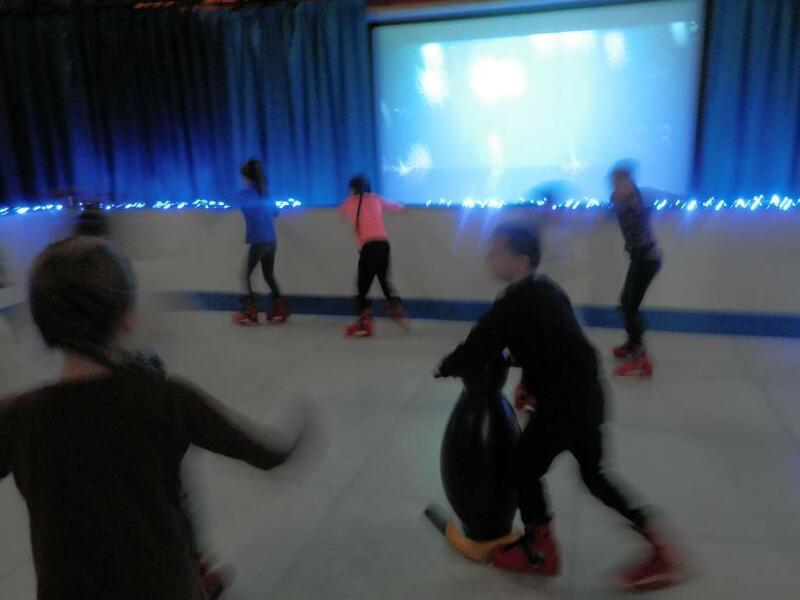 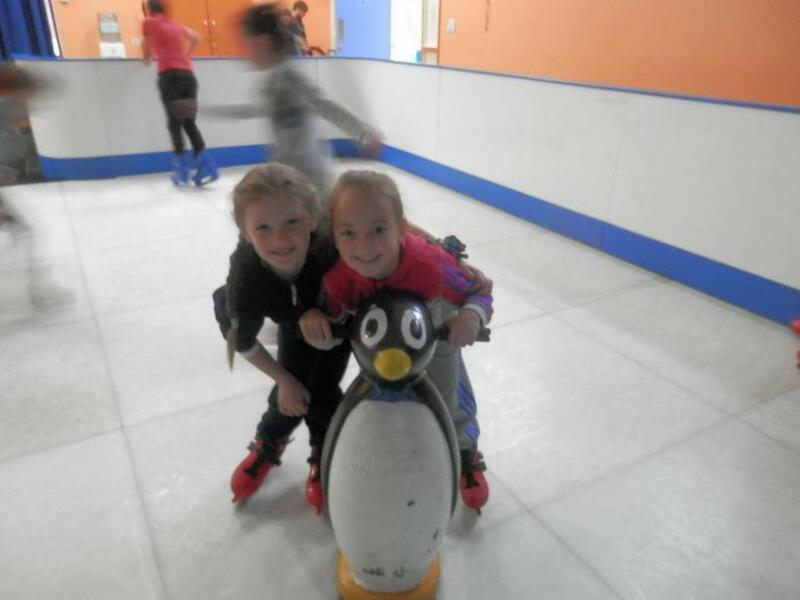 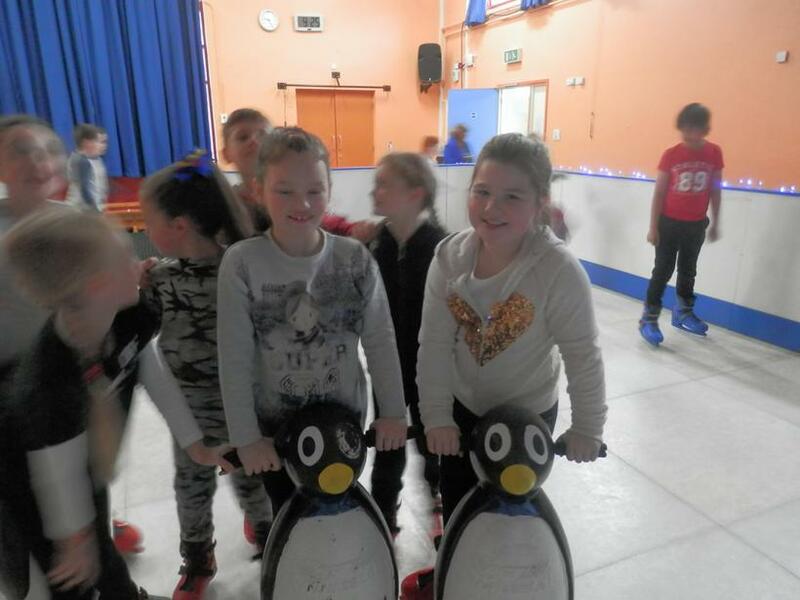 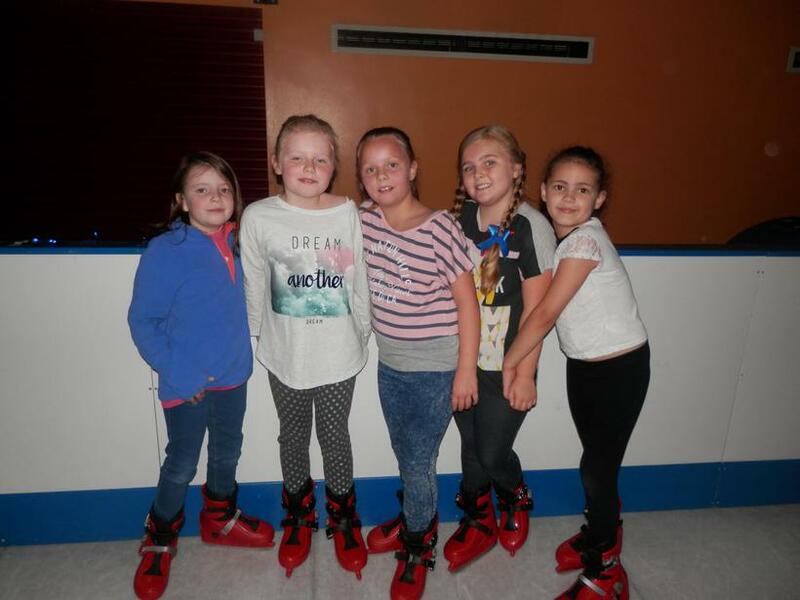 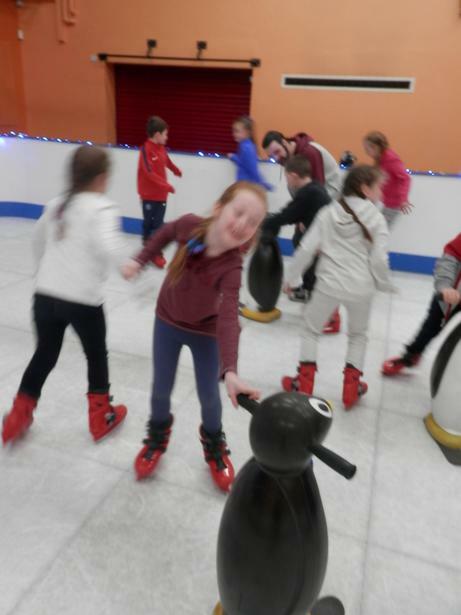 It took us a while to get the hang of skating, but once we were more confident we enjoyed skating around listening to a range of Christmas songs getting into the festive spirit. 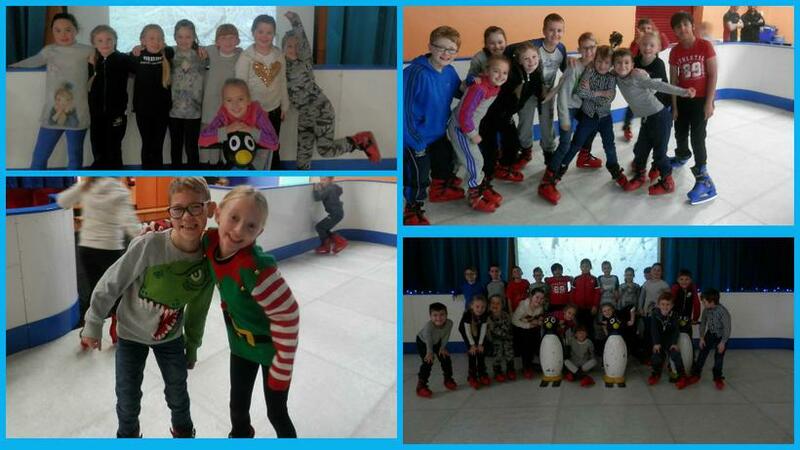 Although there were some ups and downs (quite literally), we all had an amazing day! 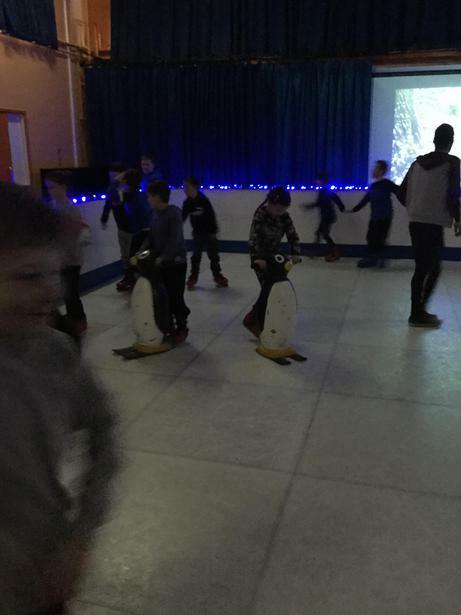 What a way to kick off the Christmas celebrations in school.